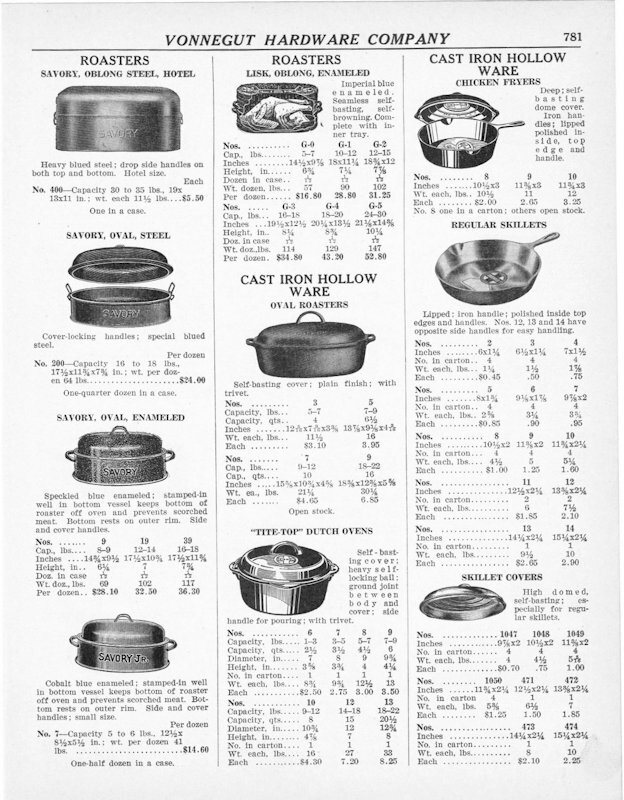 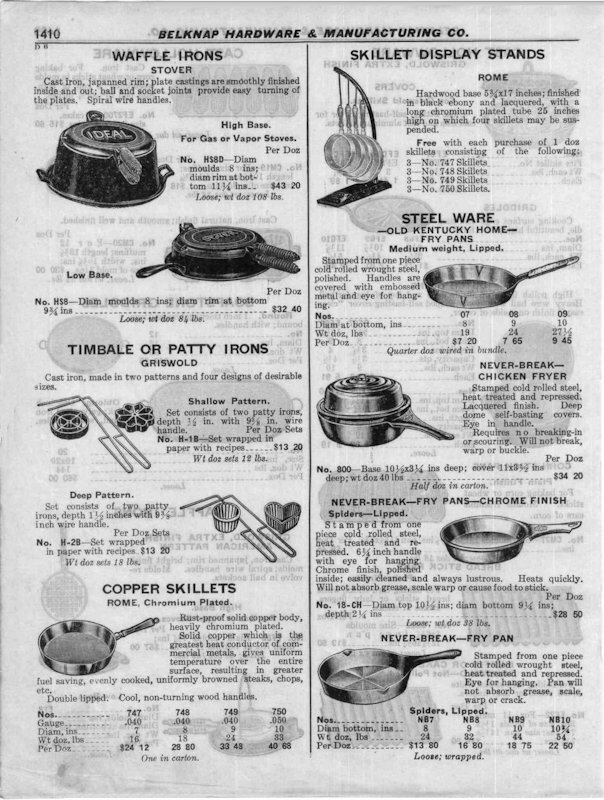 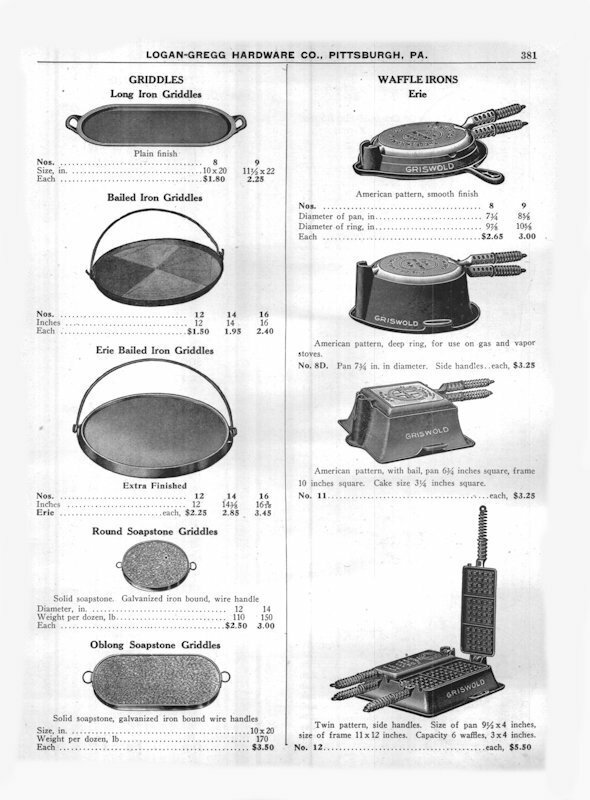 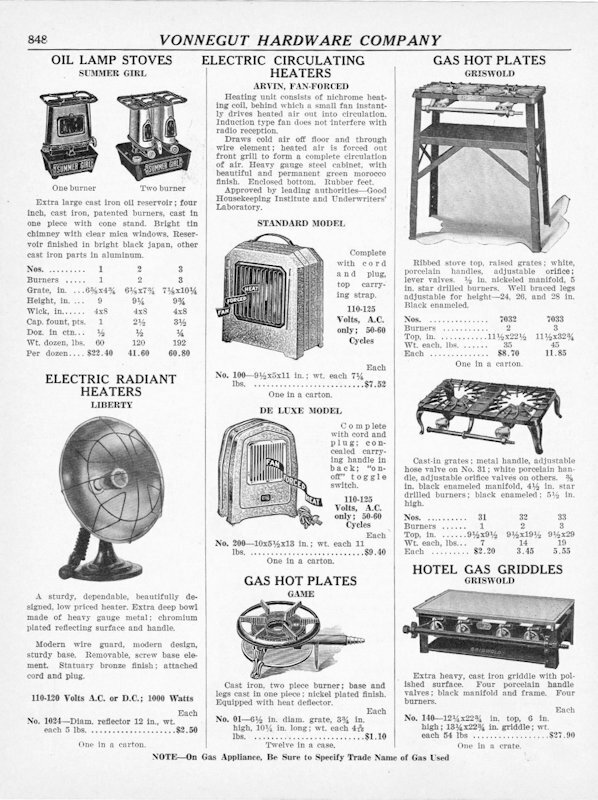 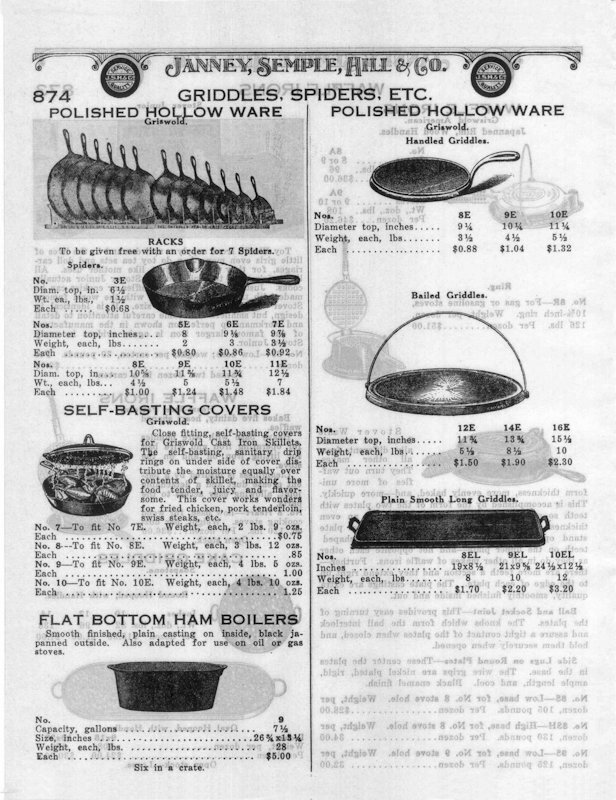 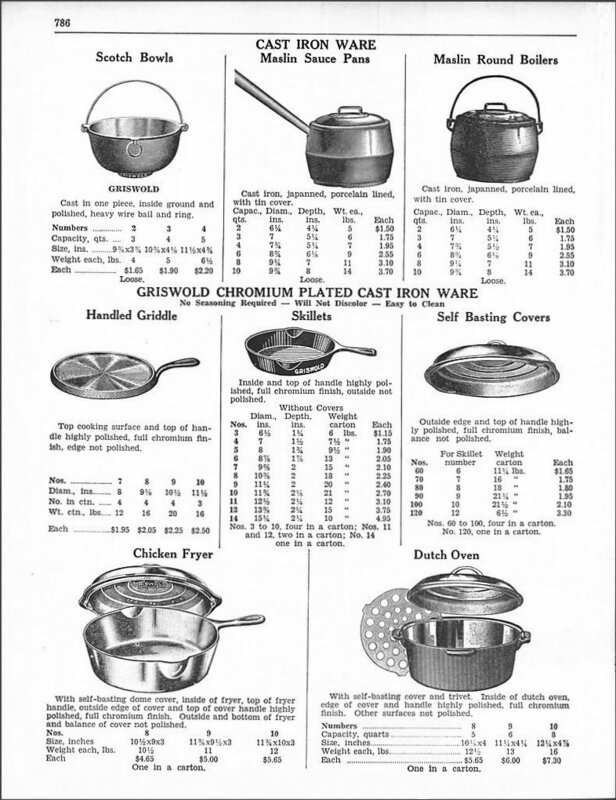 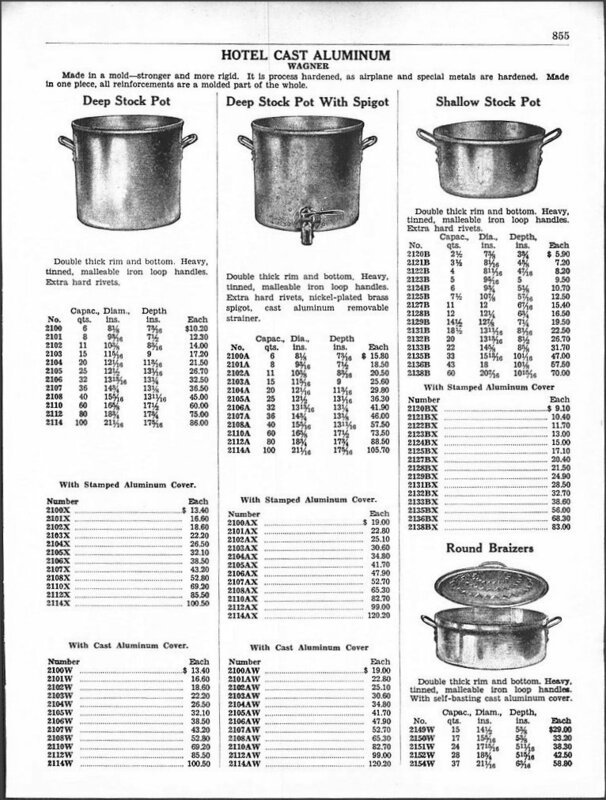 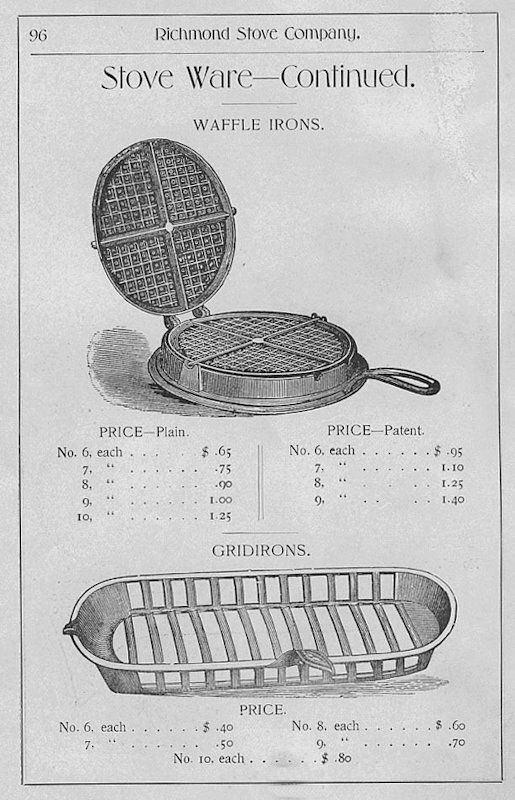 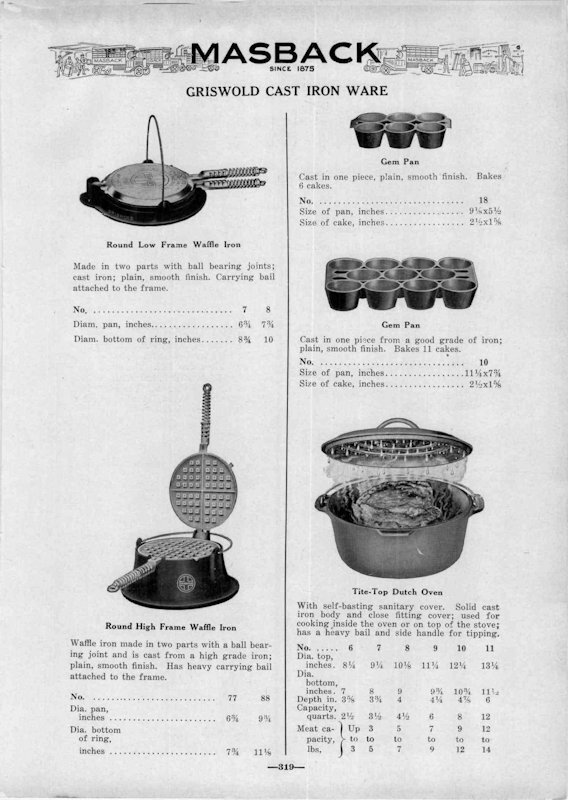 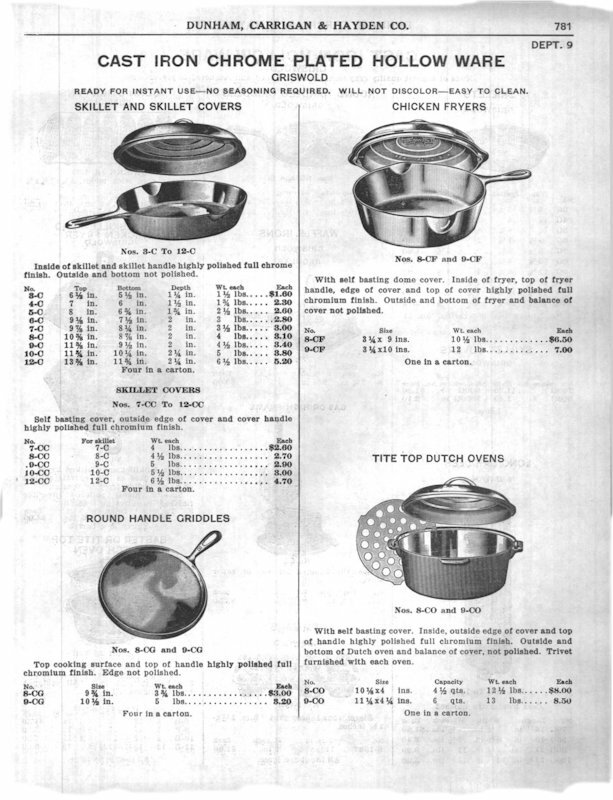 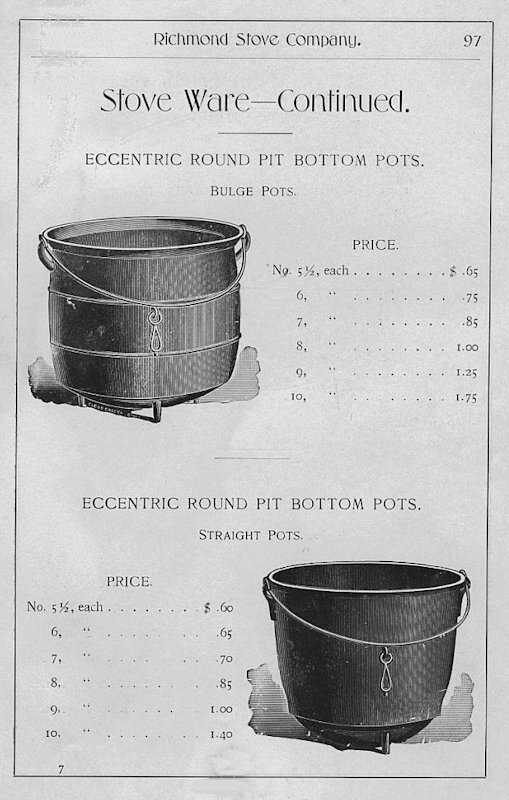 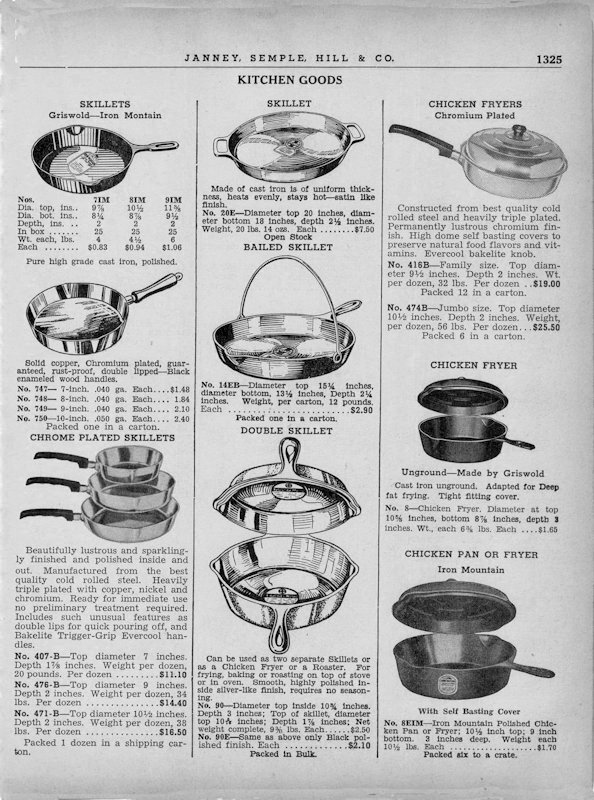 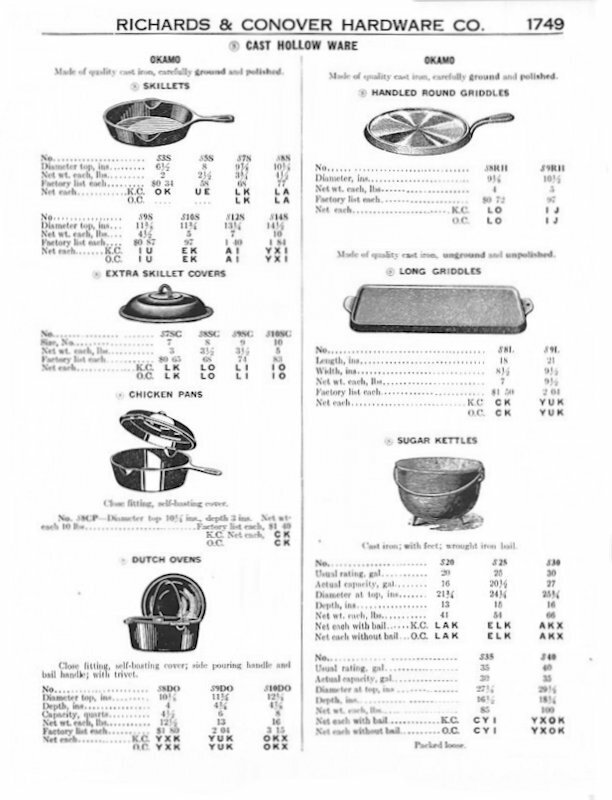 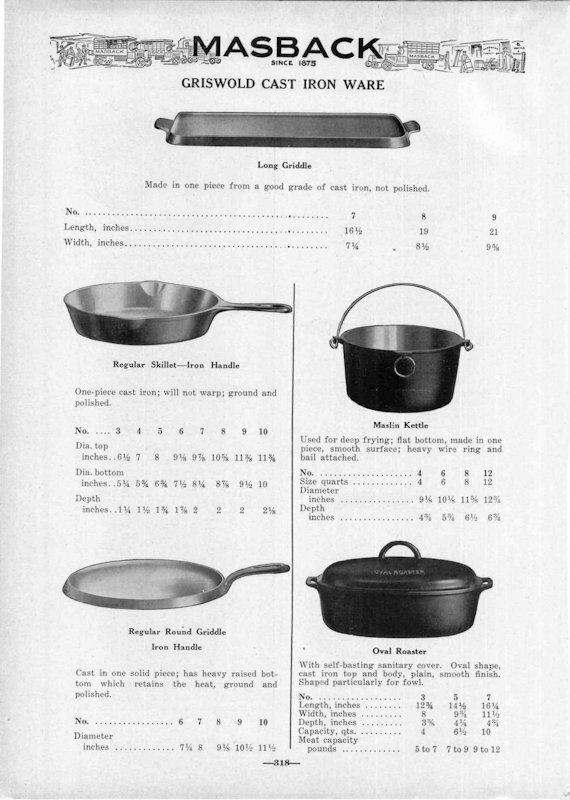 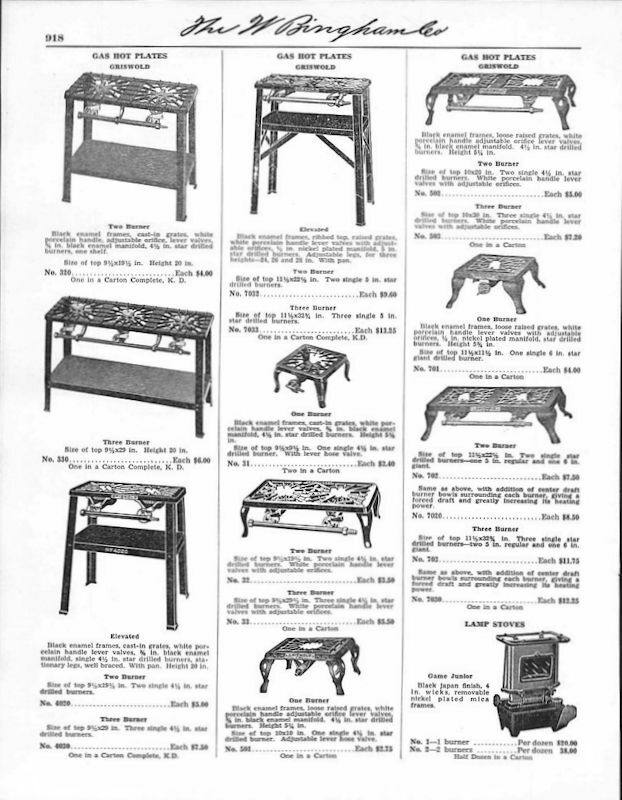 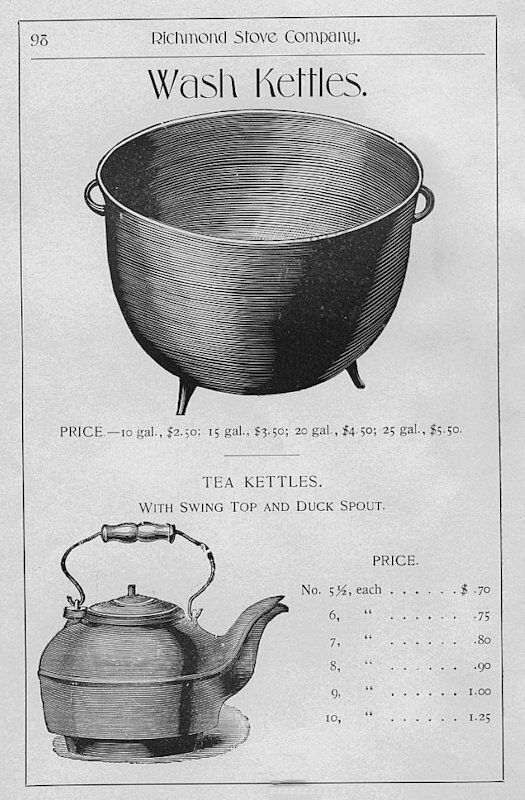 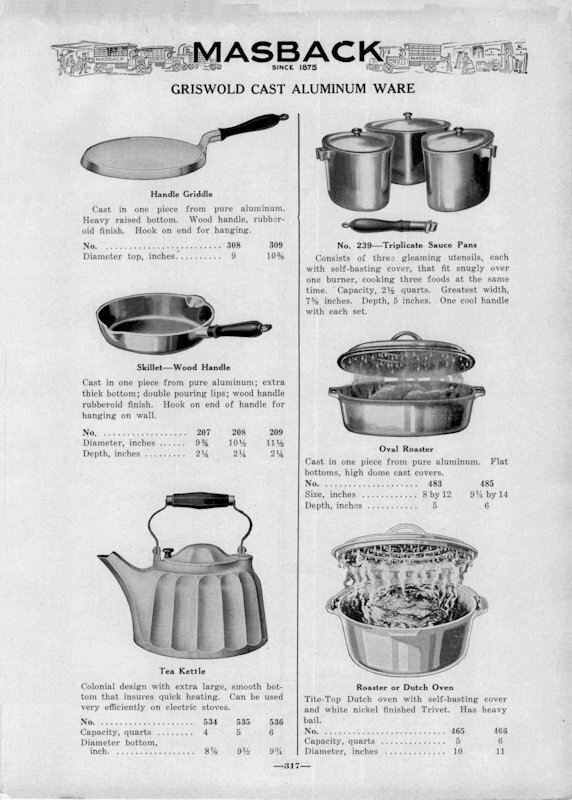 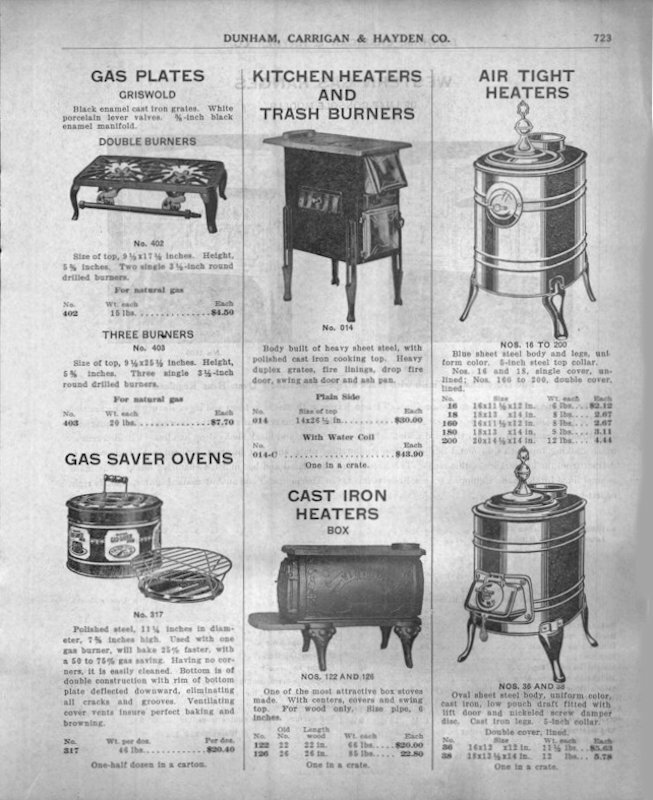 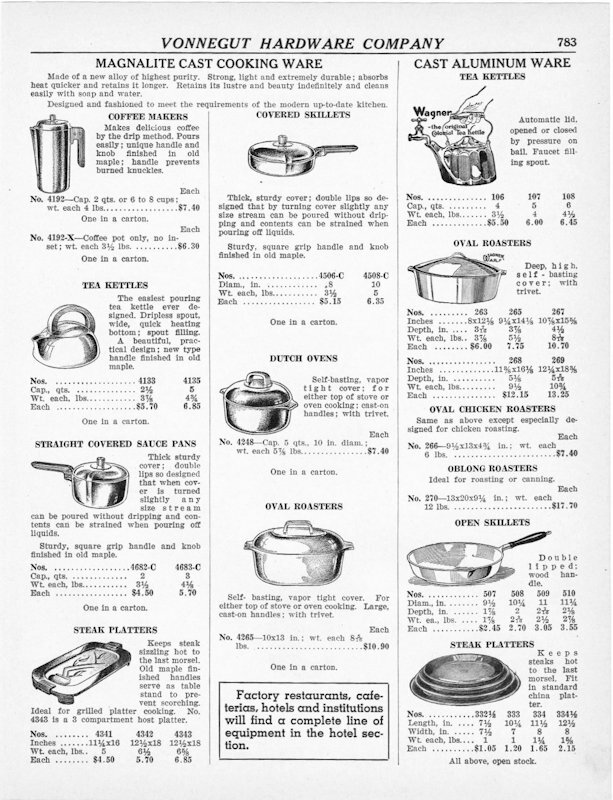 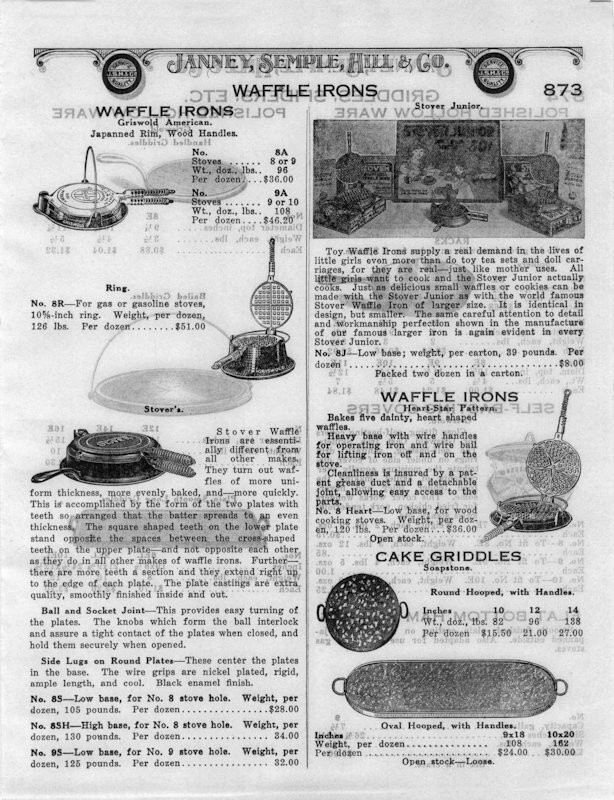 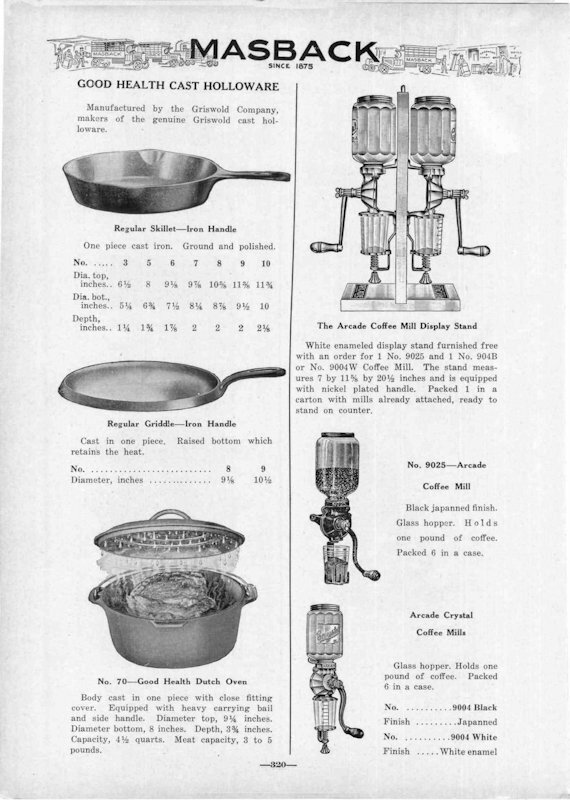 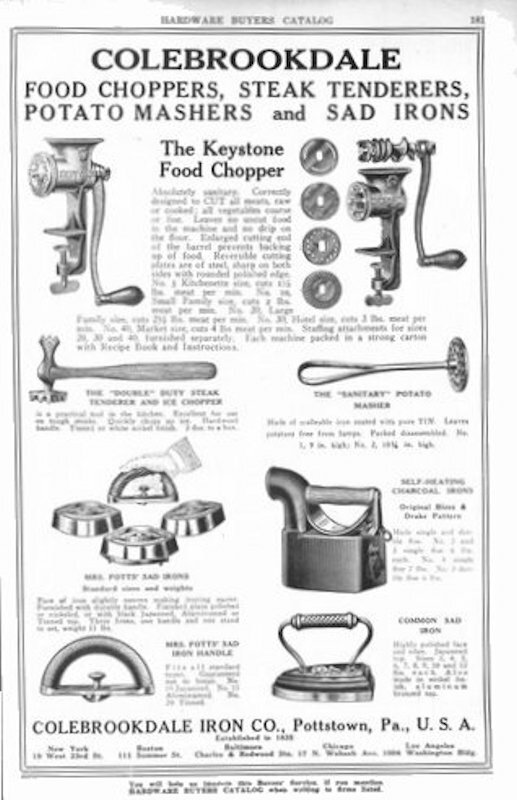 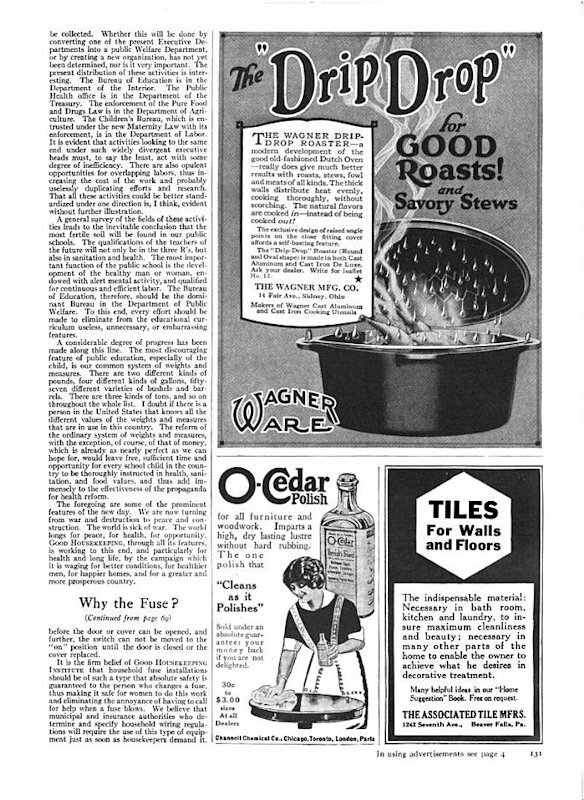 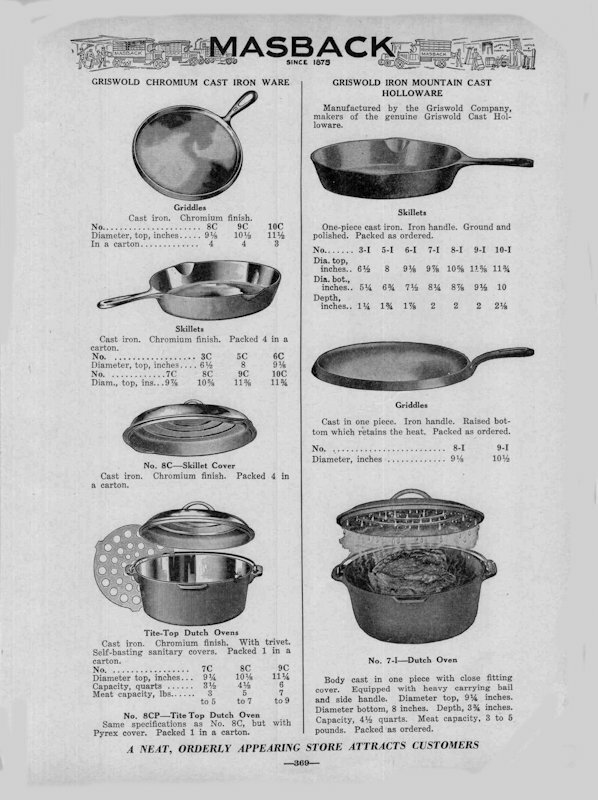 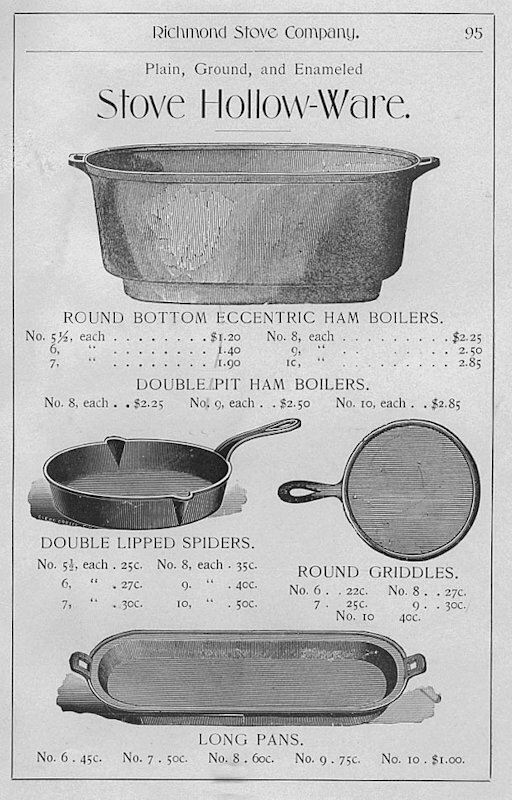 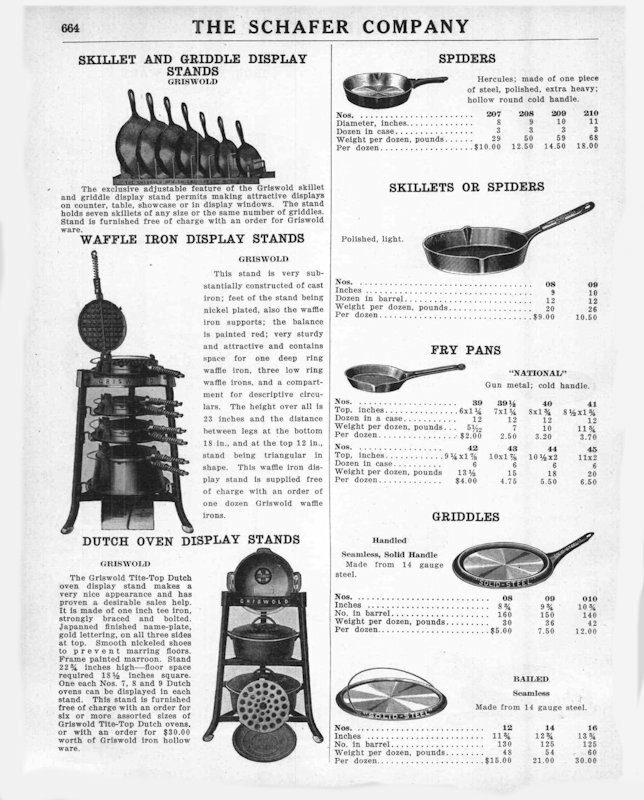 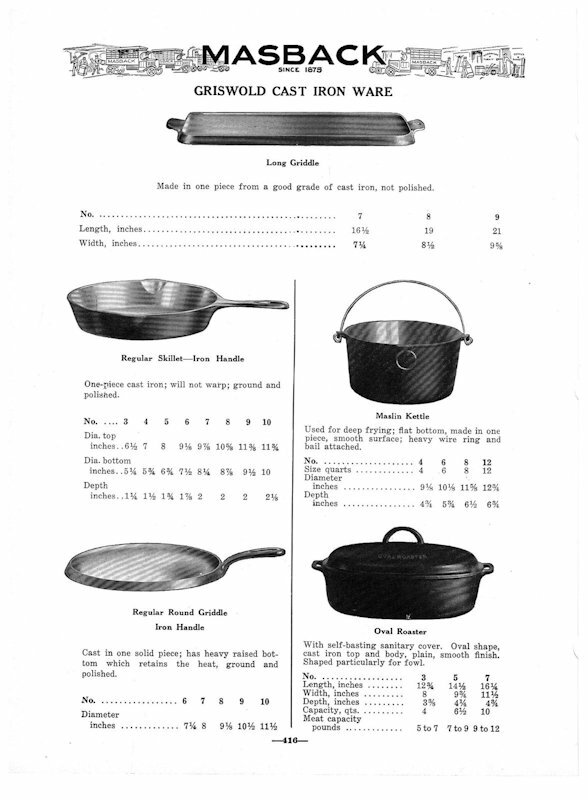 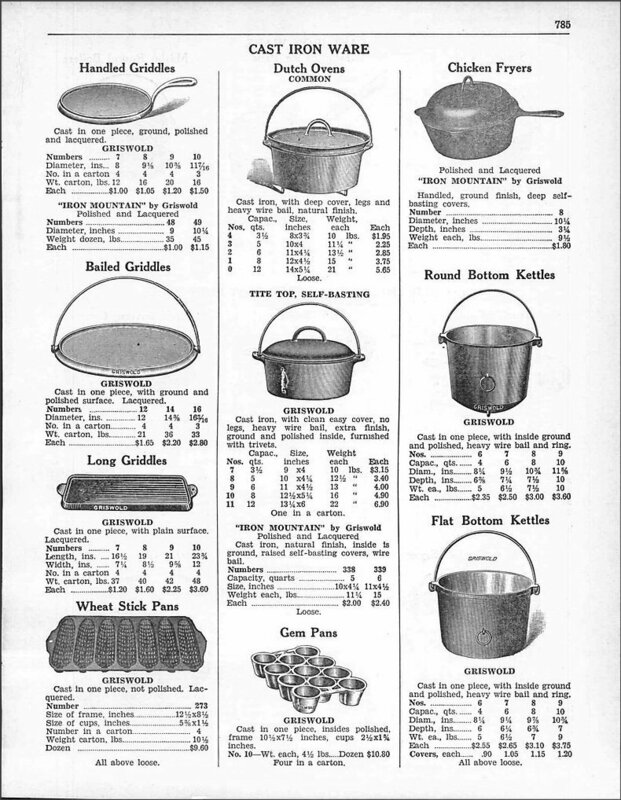 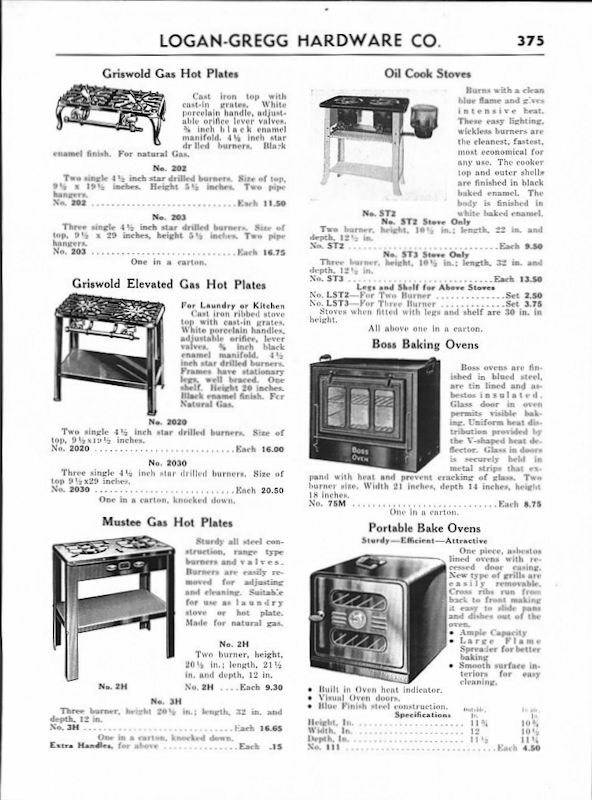 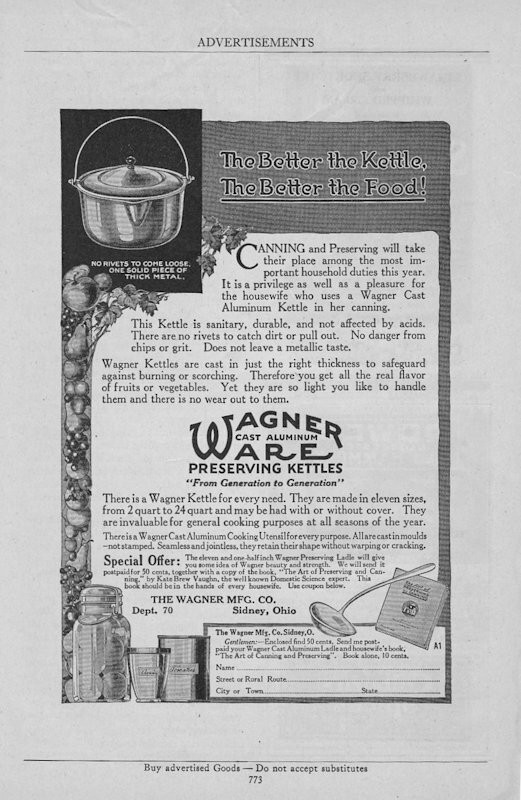 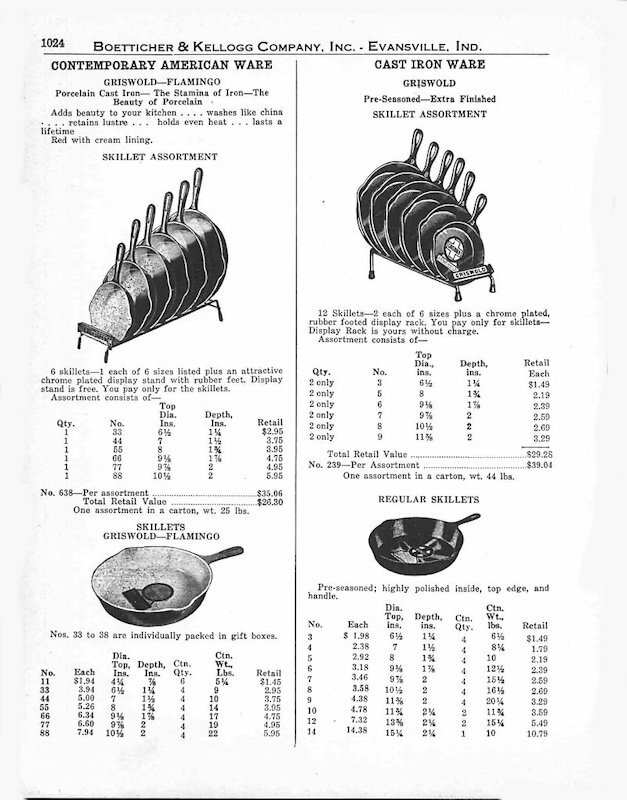 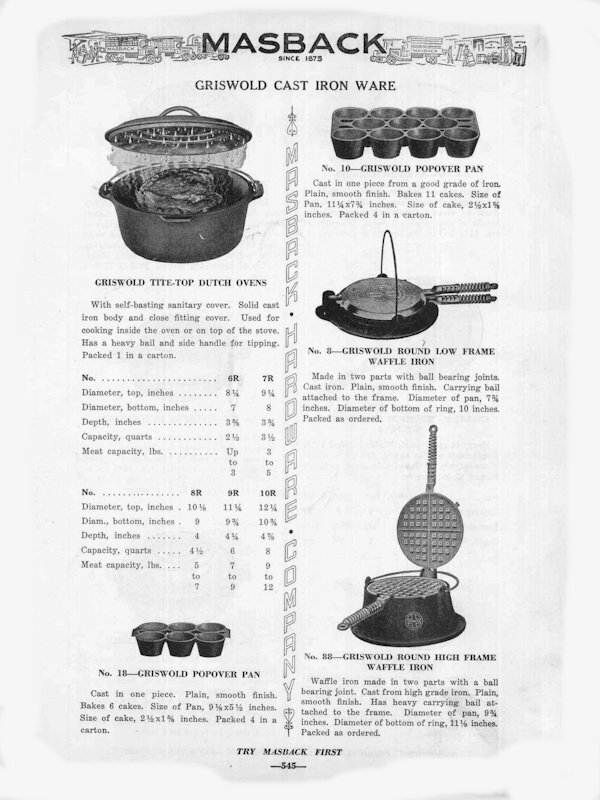 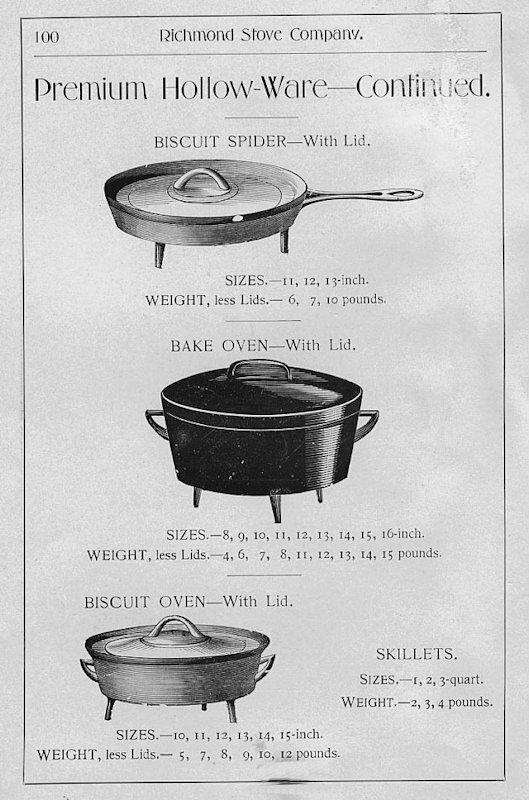 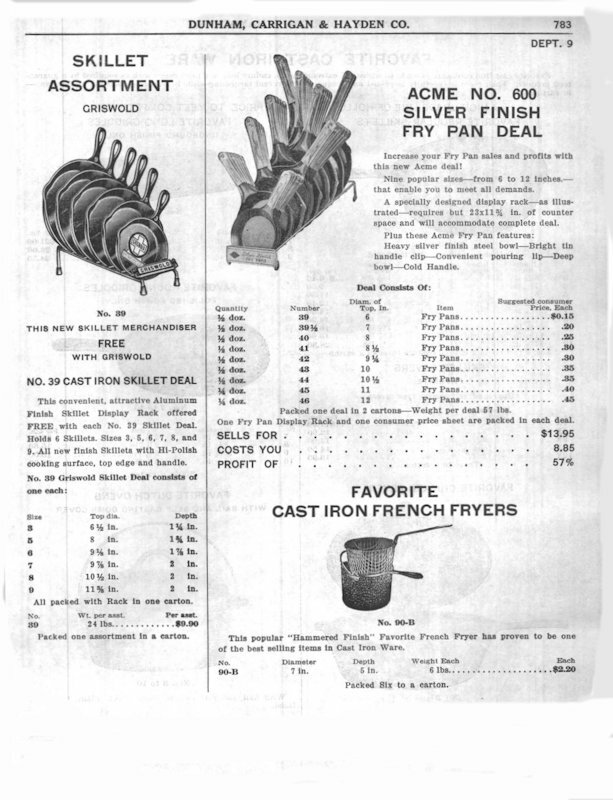 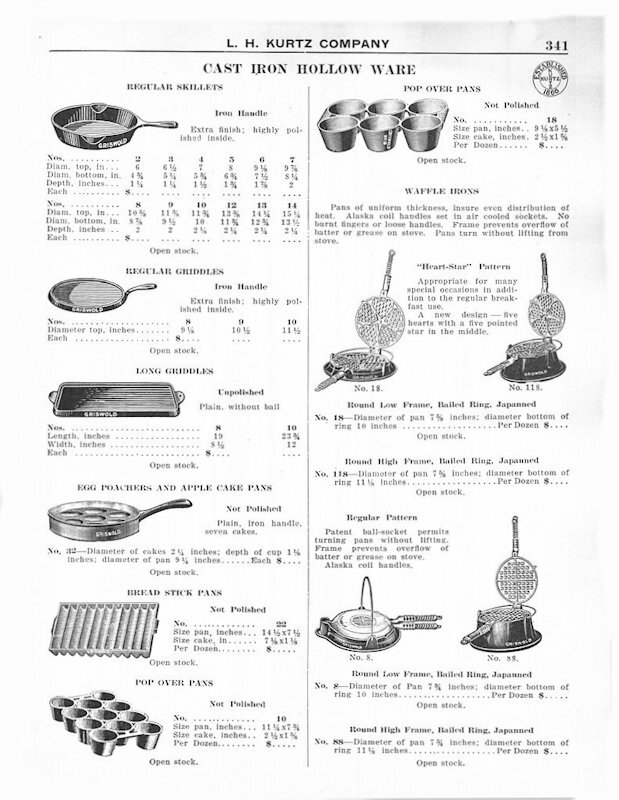 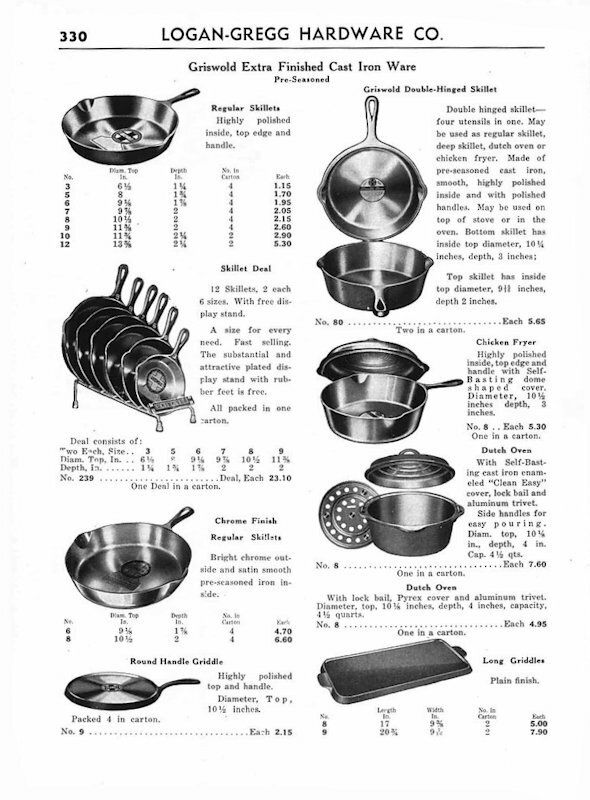 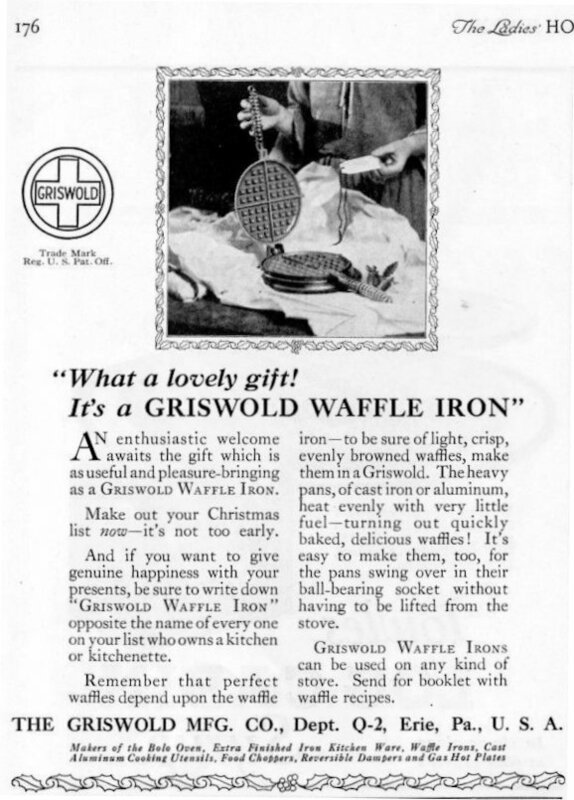 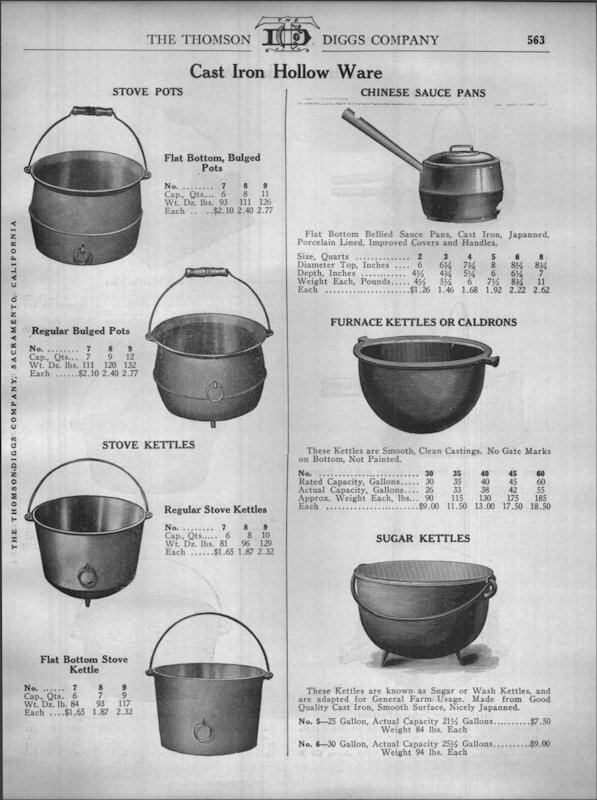 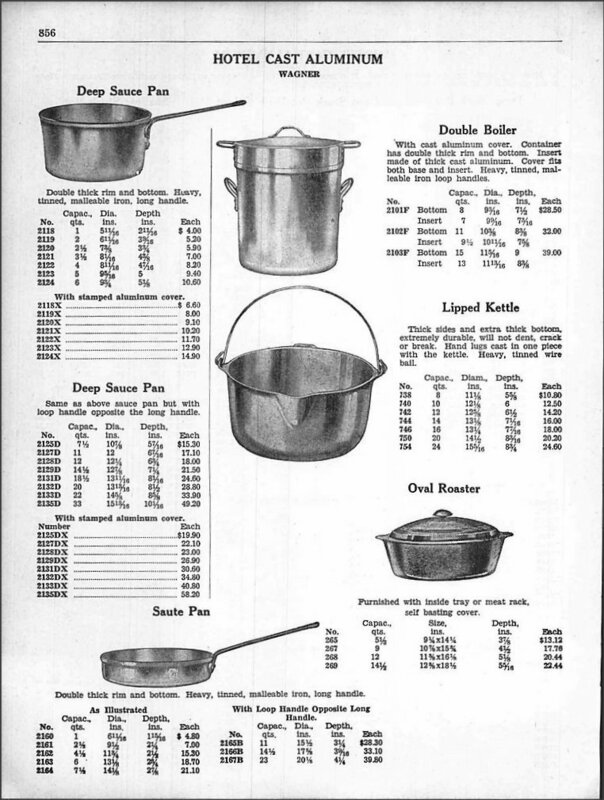 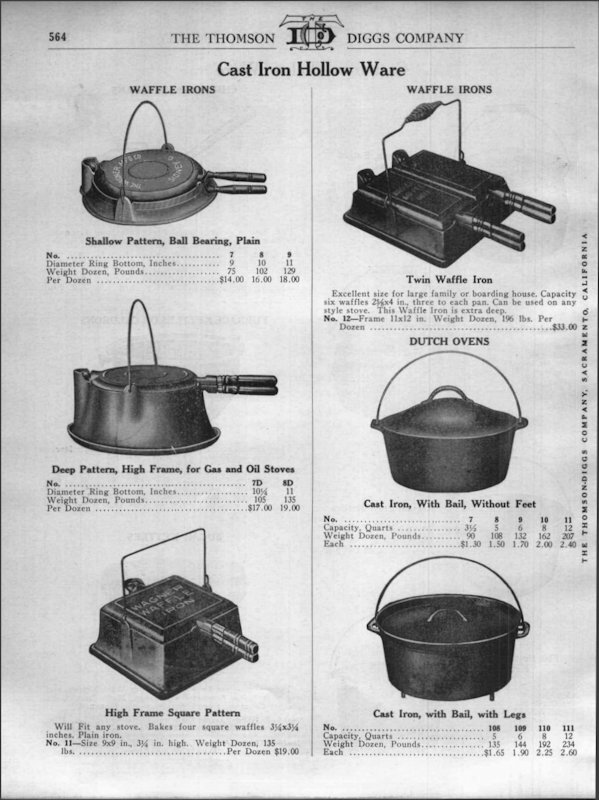 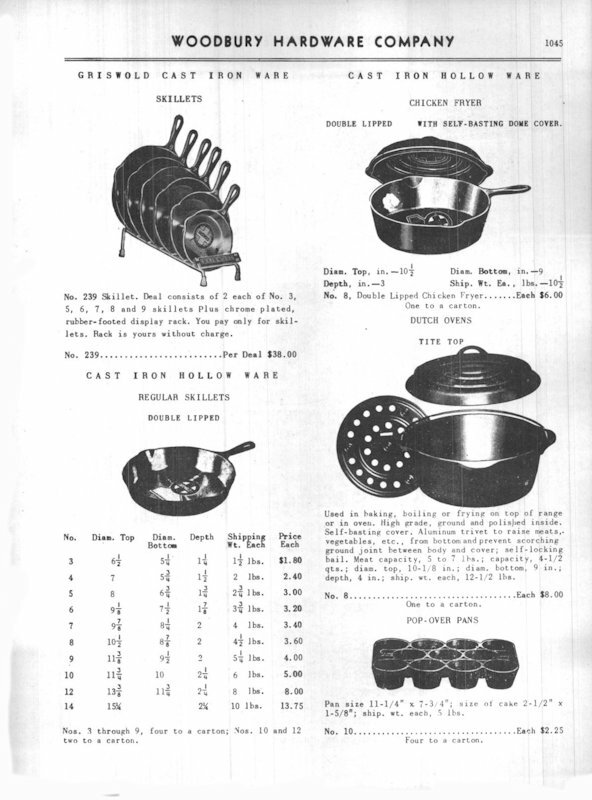 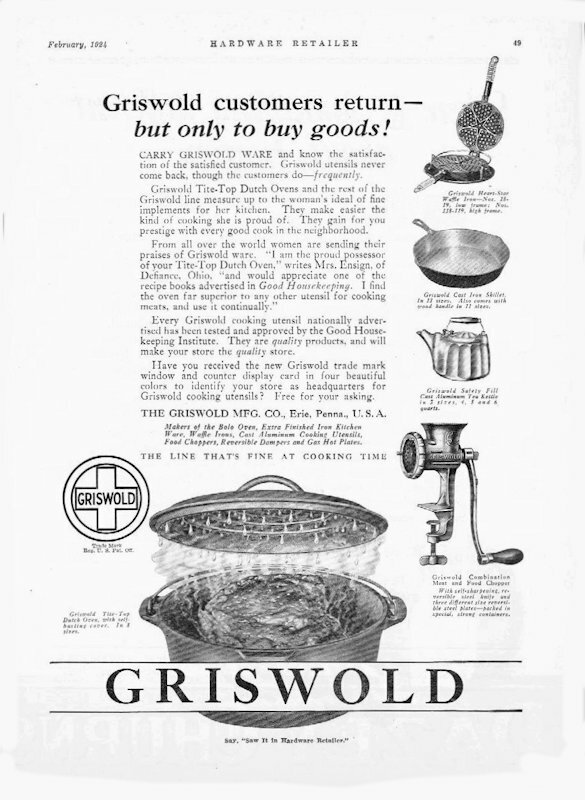 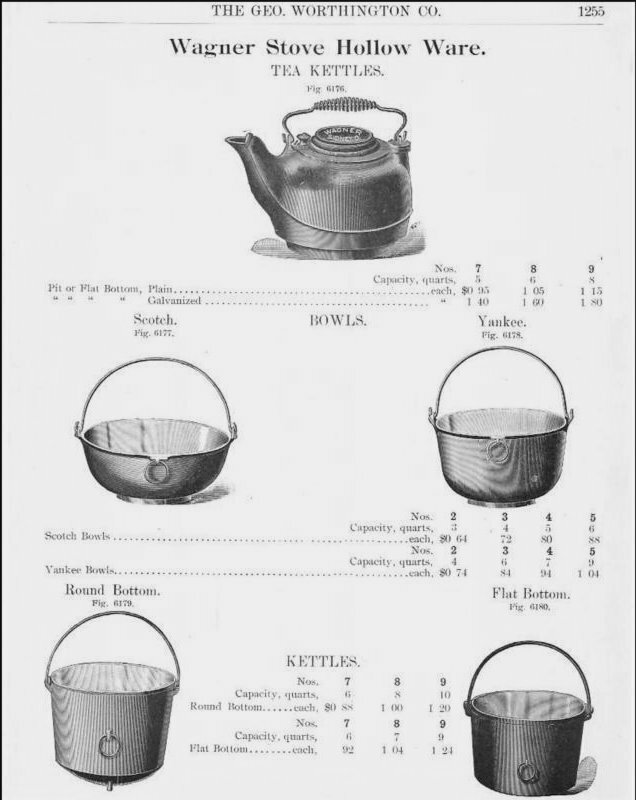 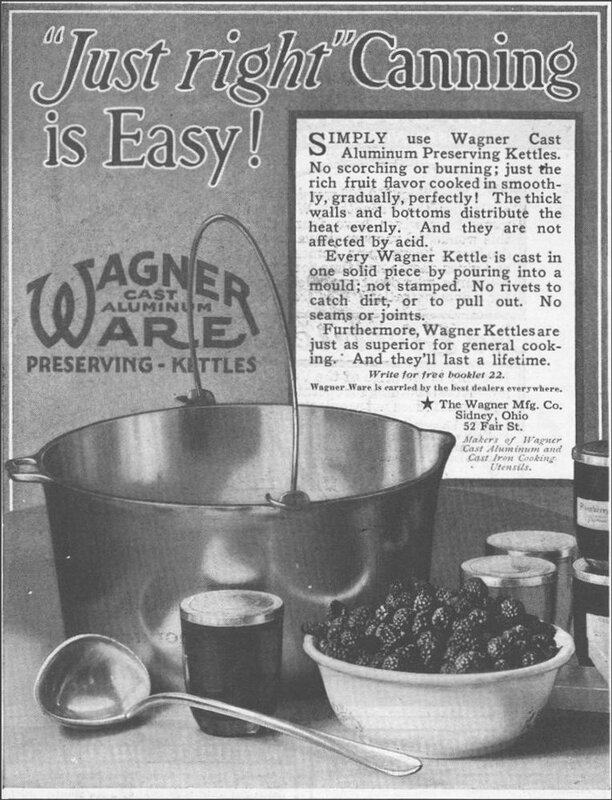 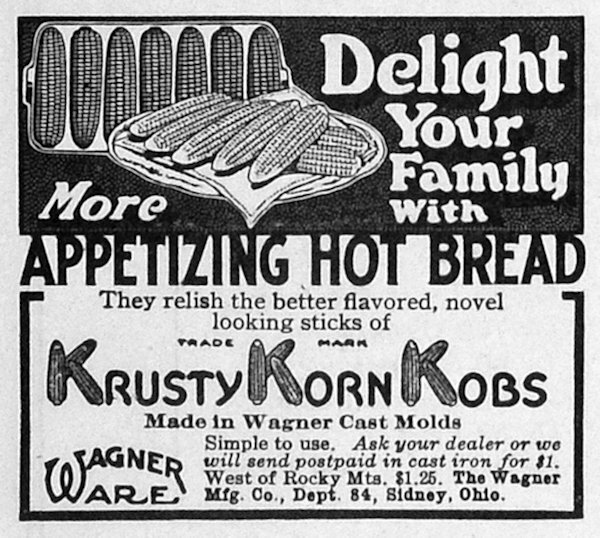 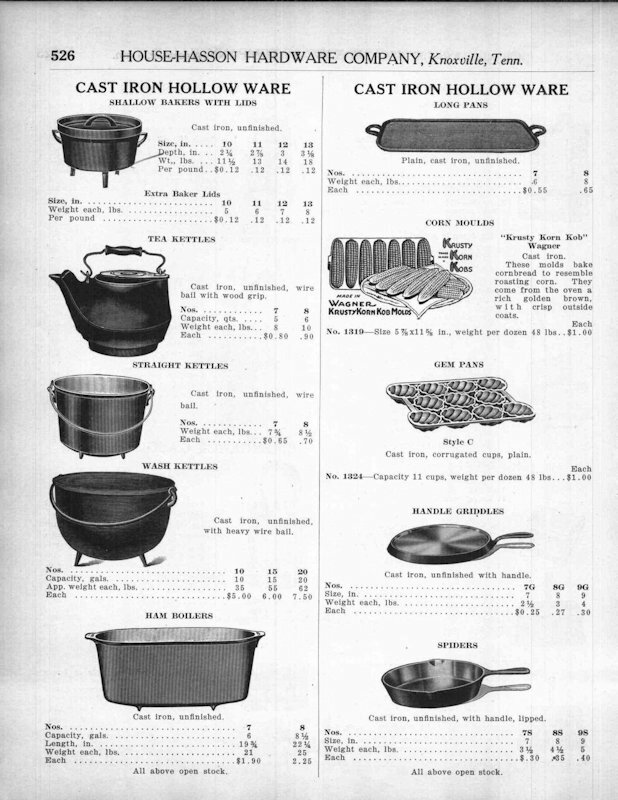 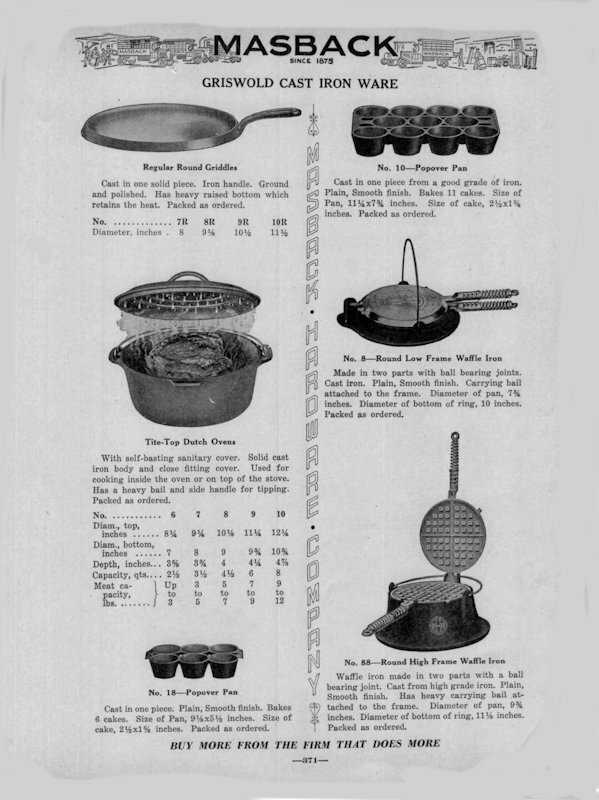 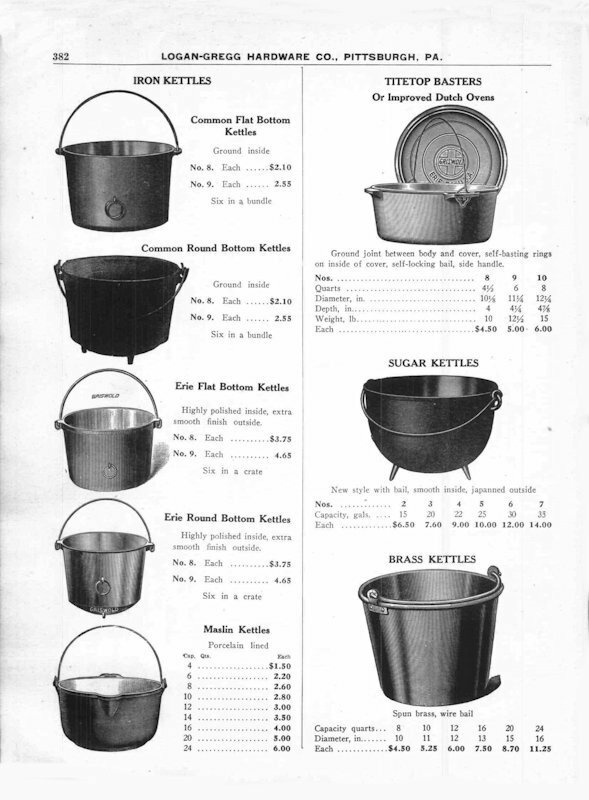 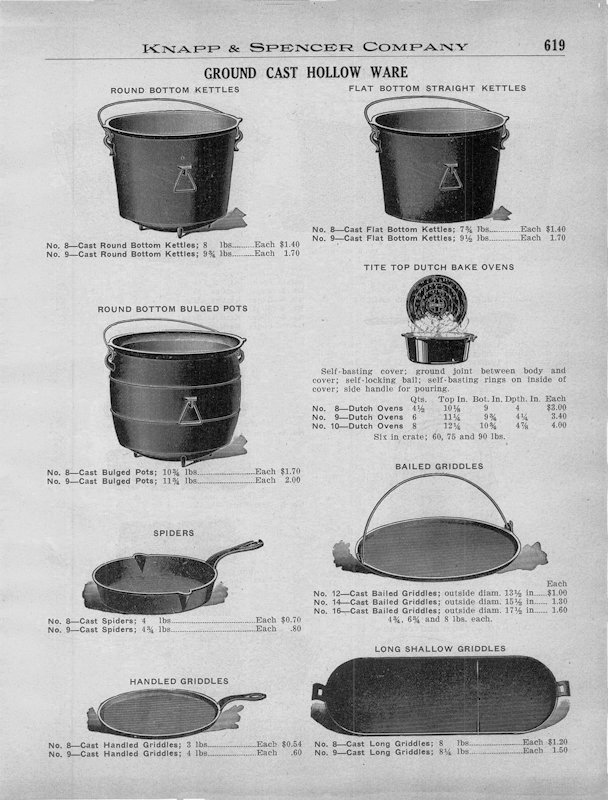 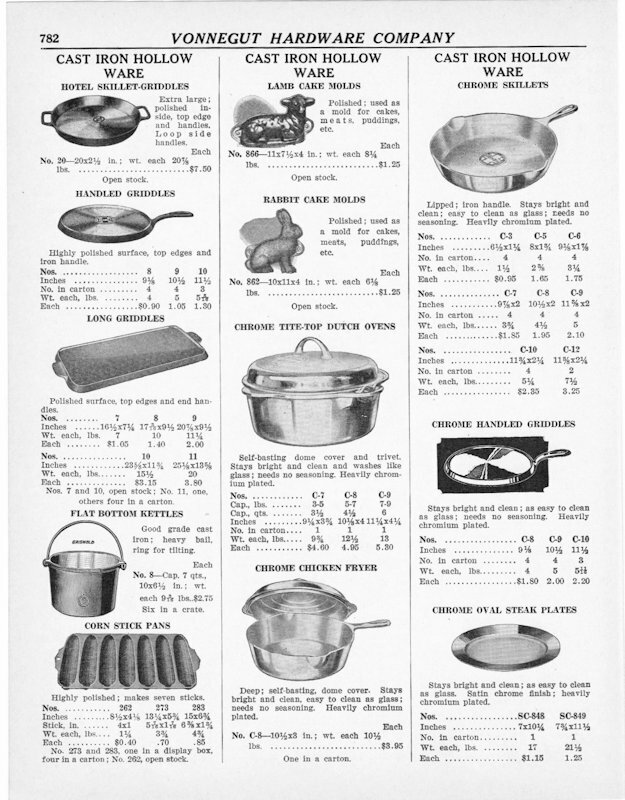 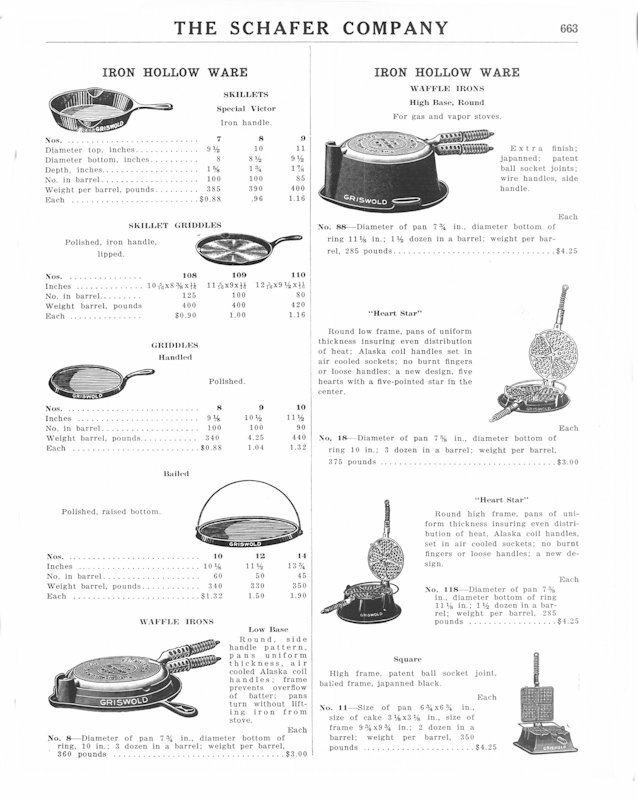 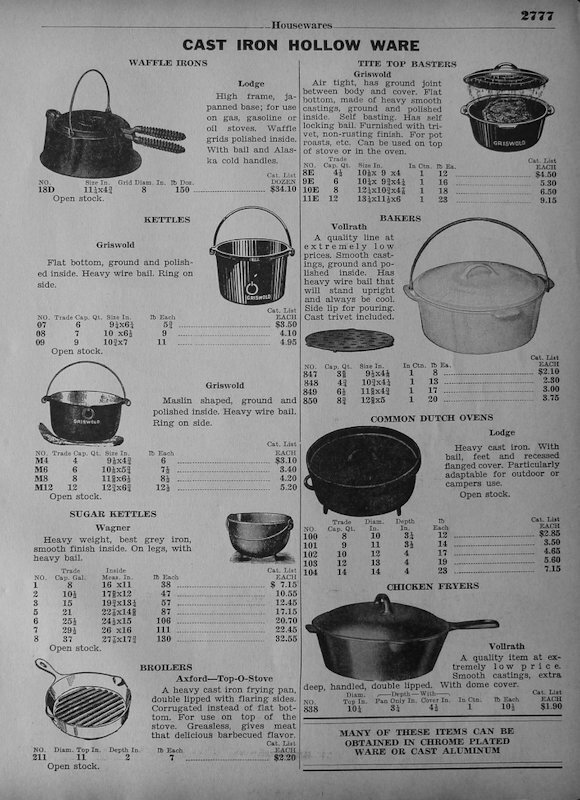 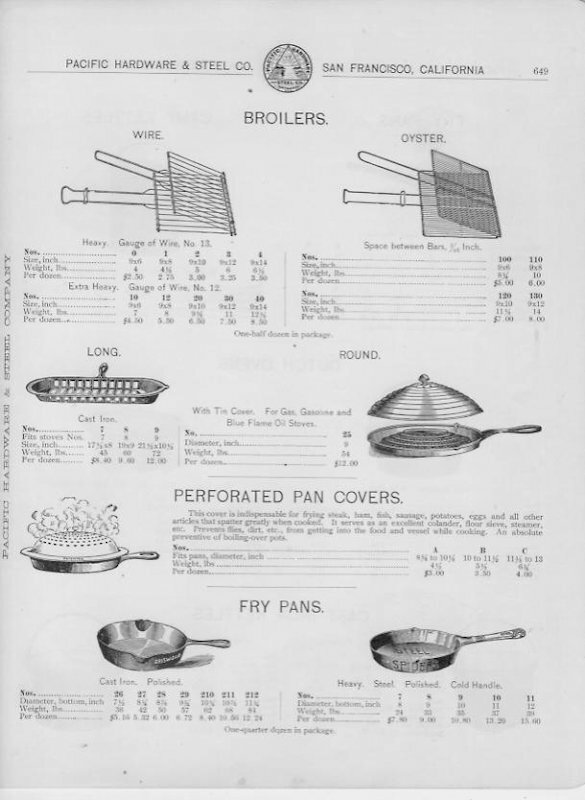 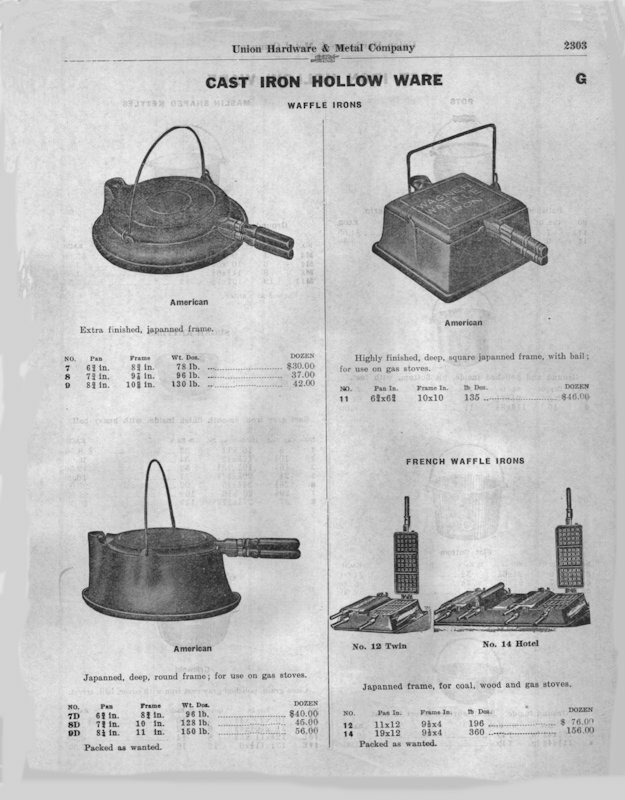 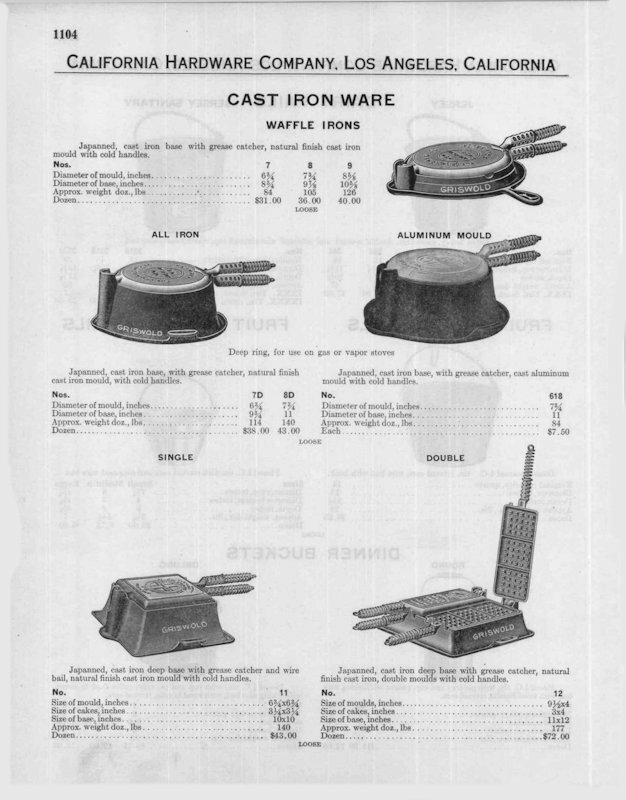 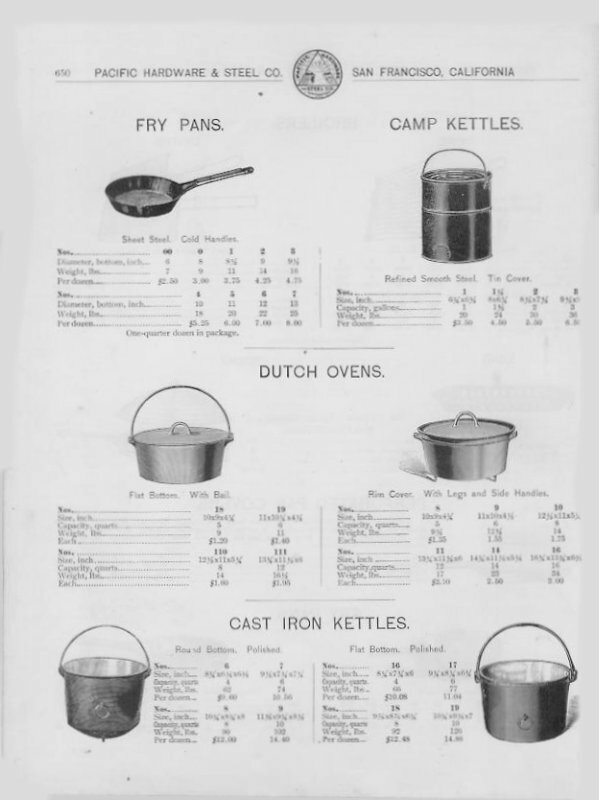 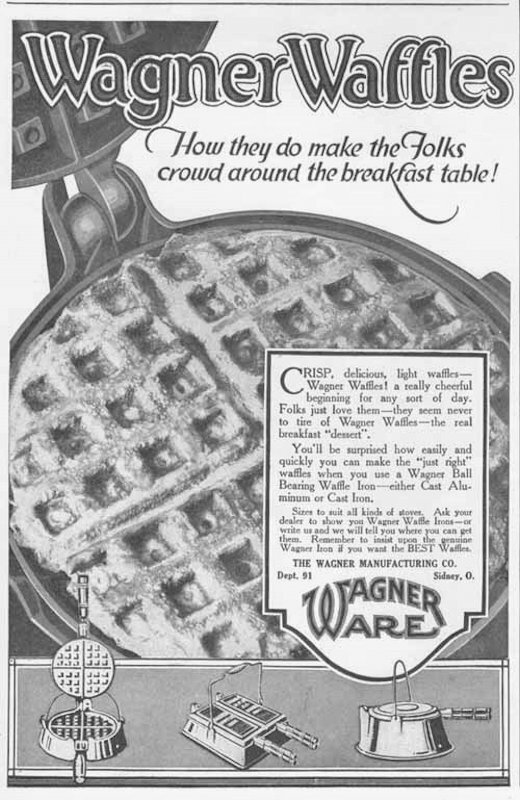 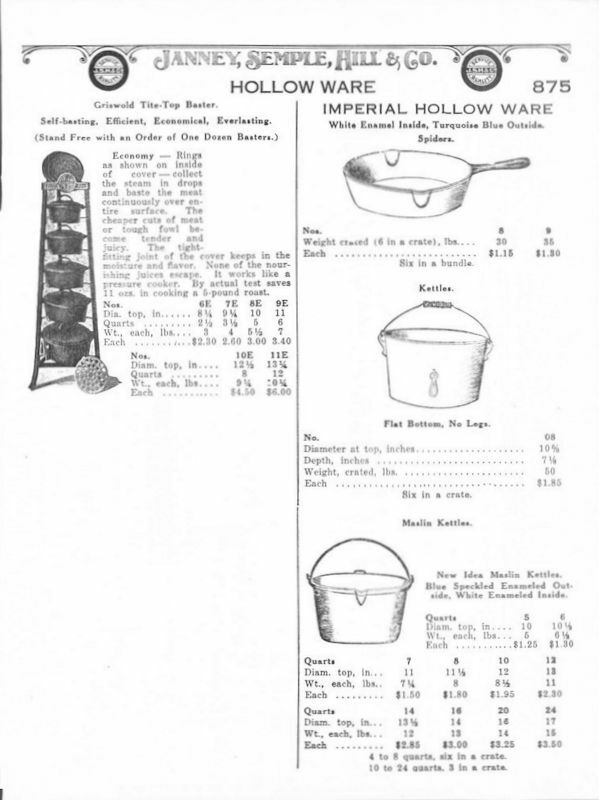 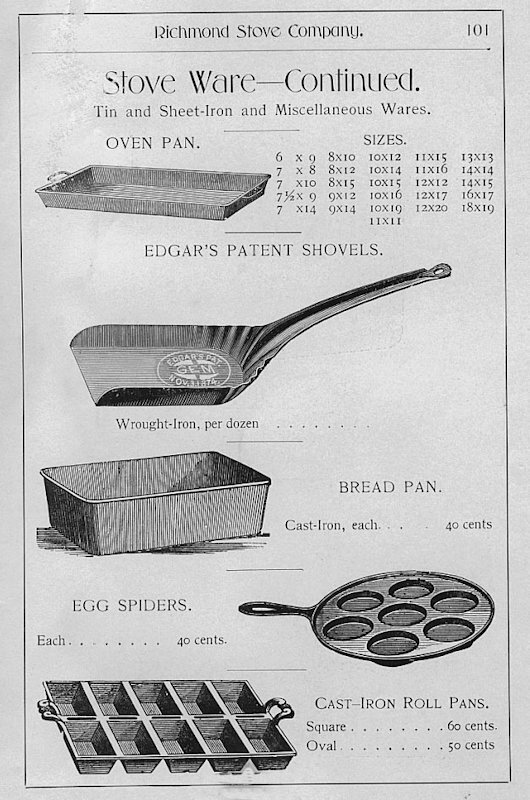 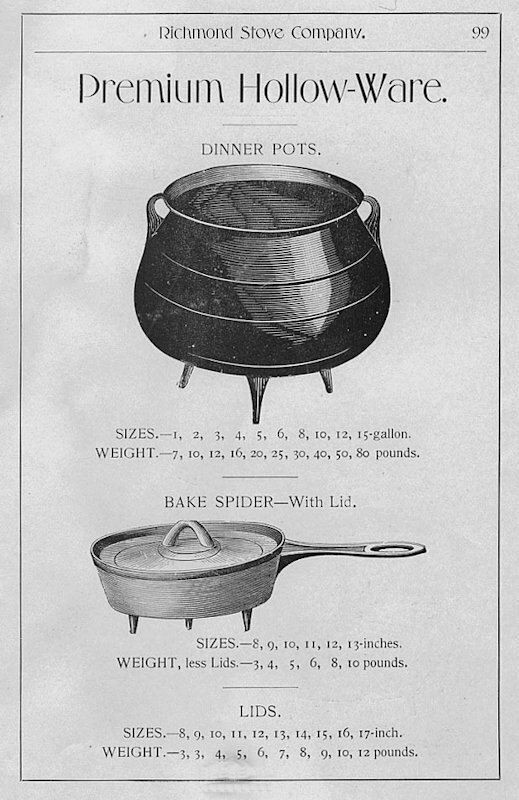 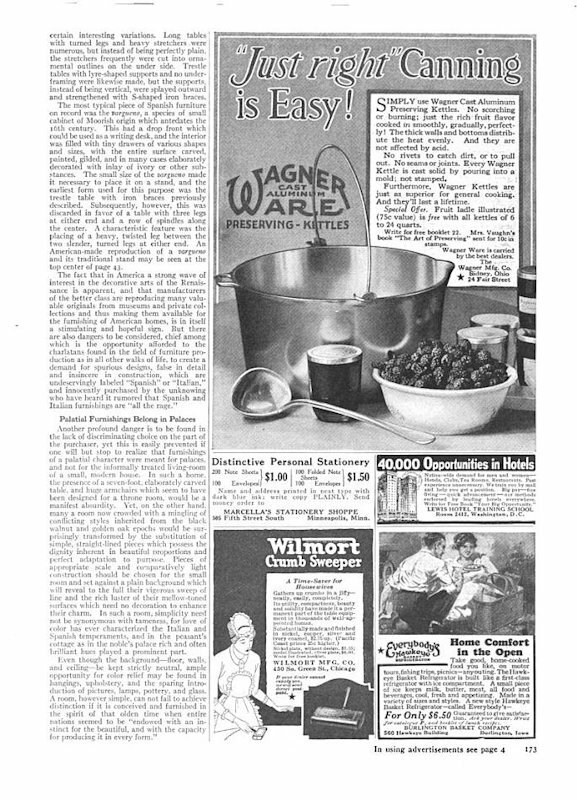 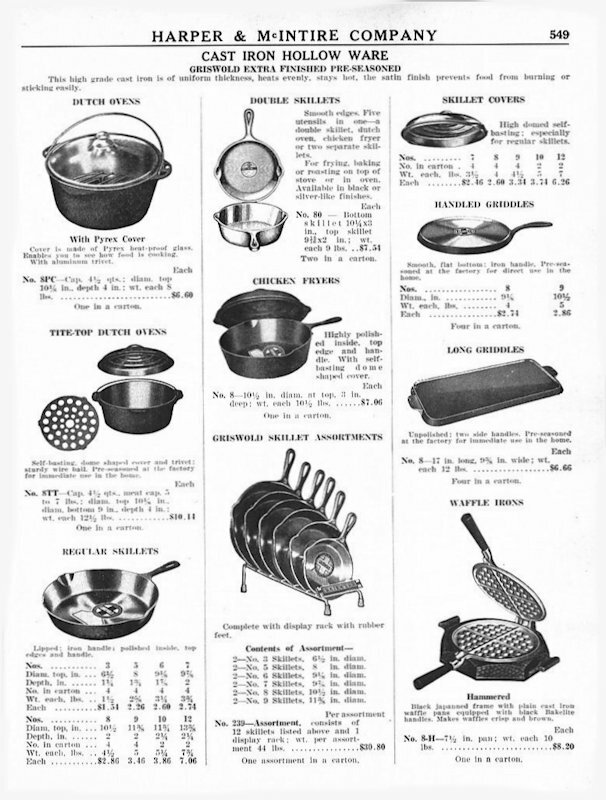 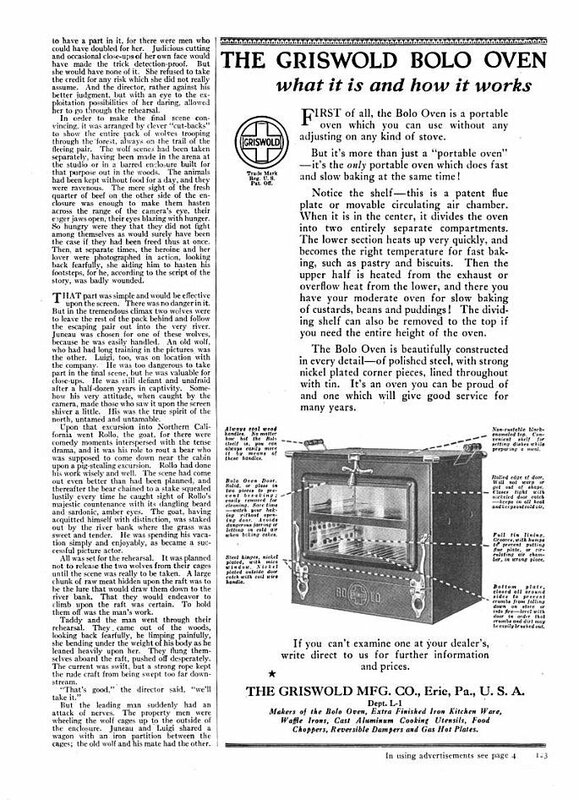 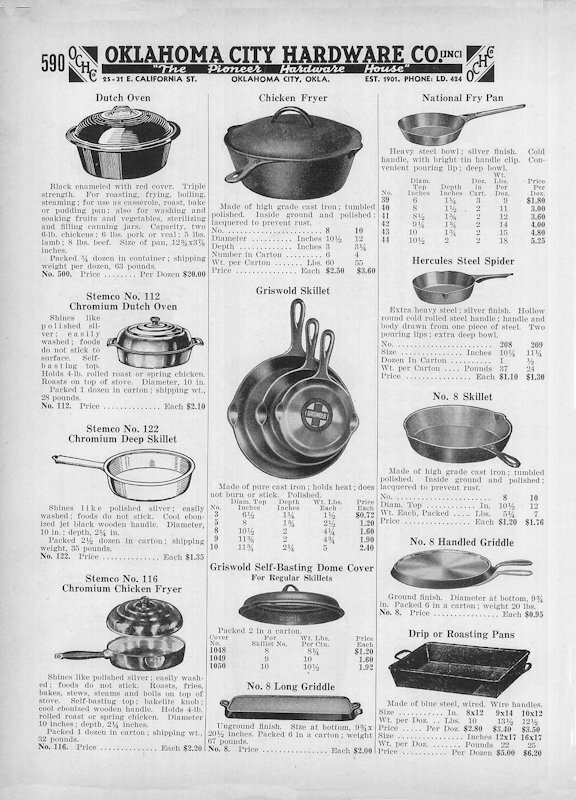 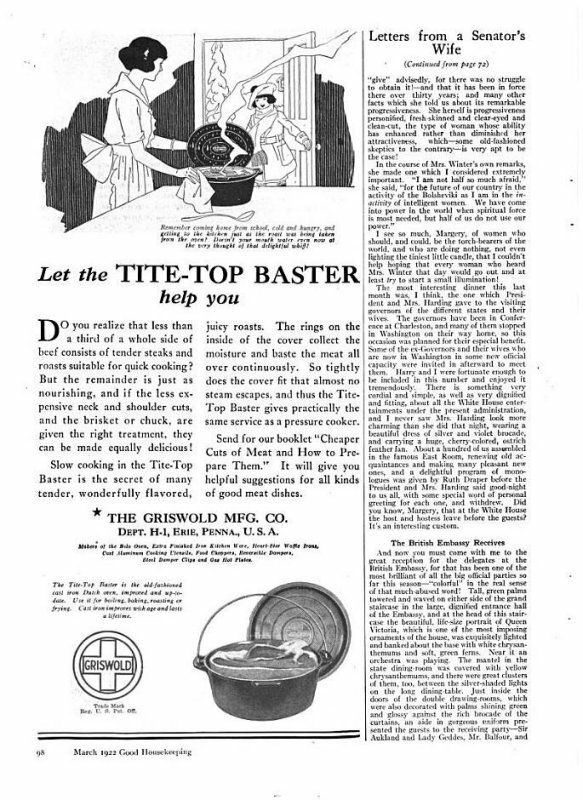 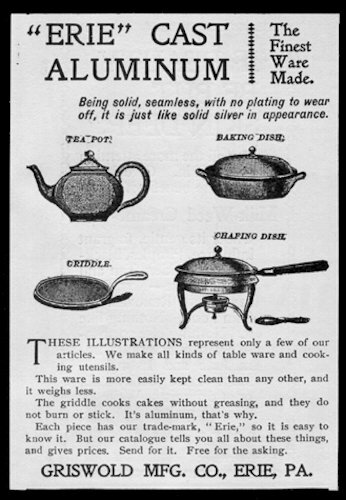 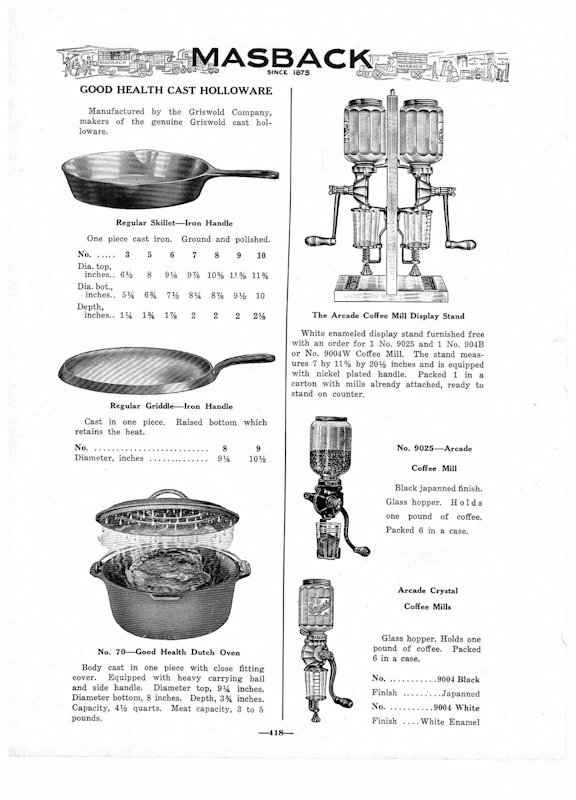 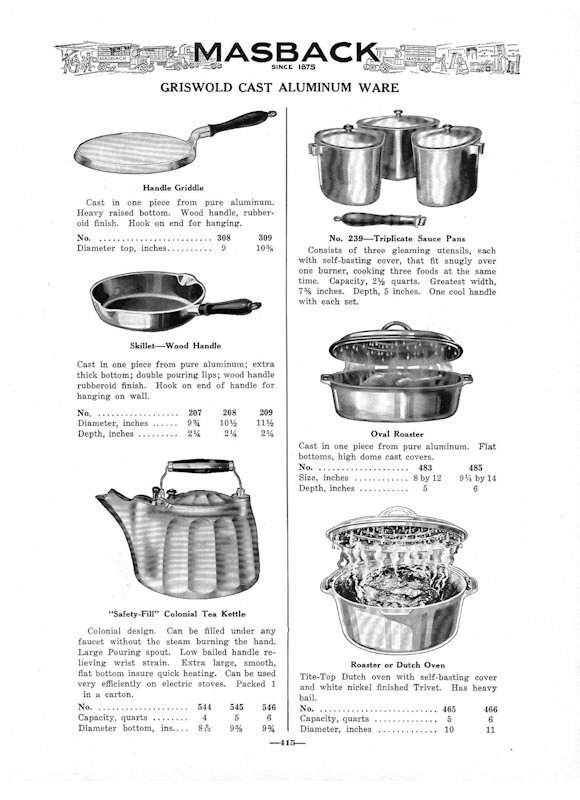 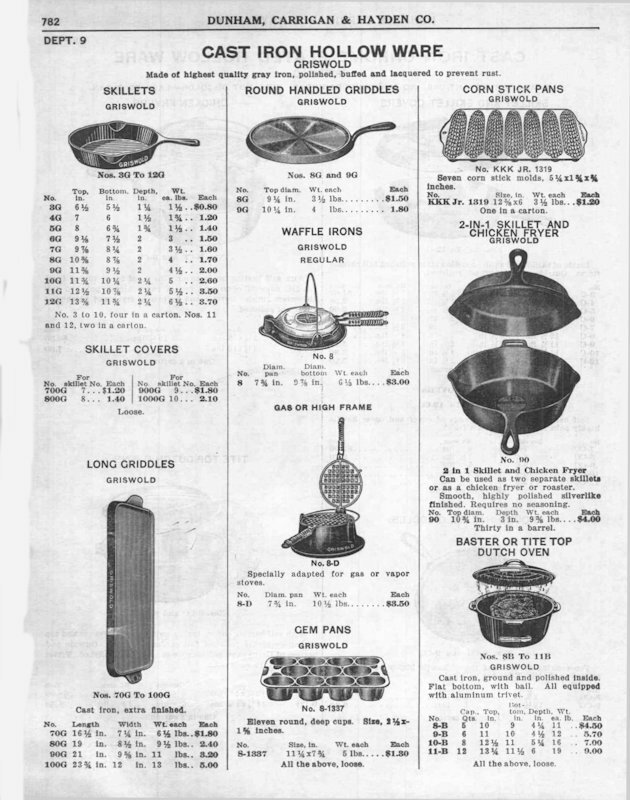 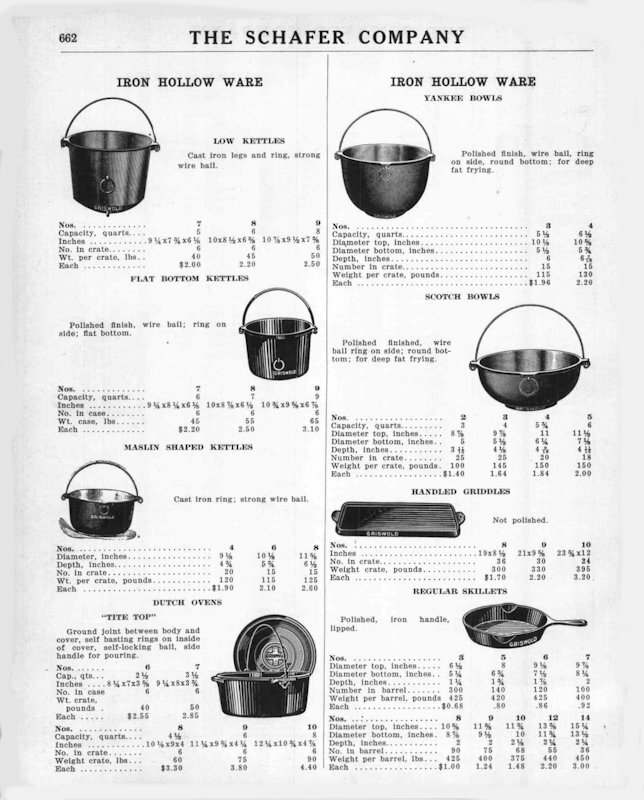 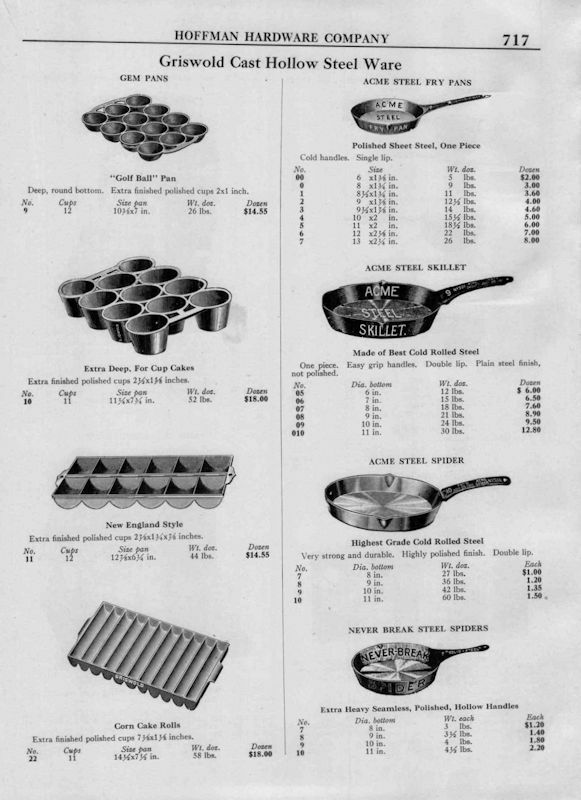 Although most commercially-produced cast iron and aluminum cookware of the late 19th and early 20th centuries could be classified as commodities, the name brand manufacturers went to great lengths through their advertisements to tout their products' superiority to those of their competitors. 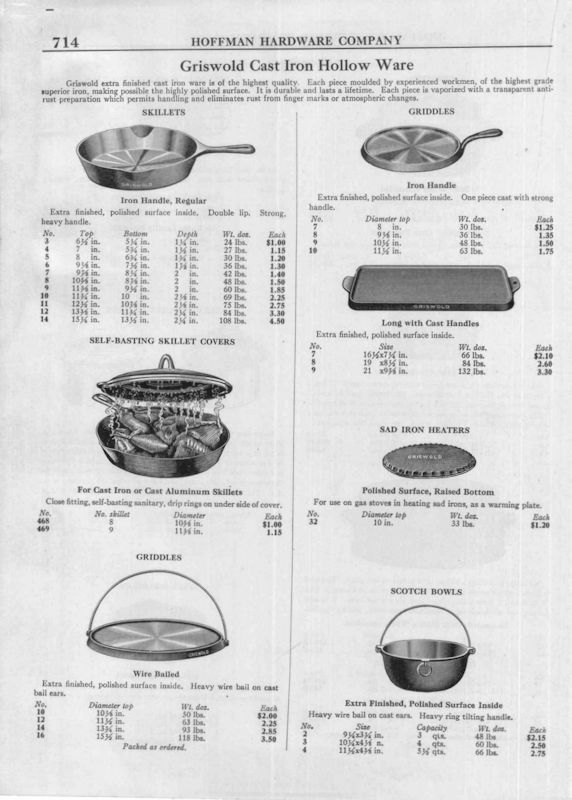 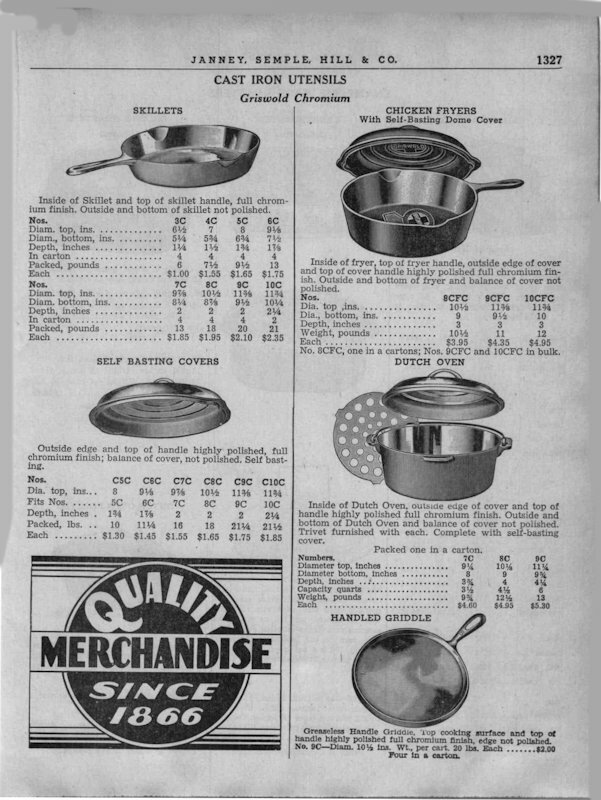 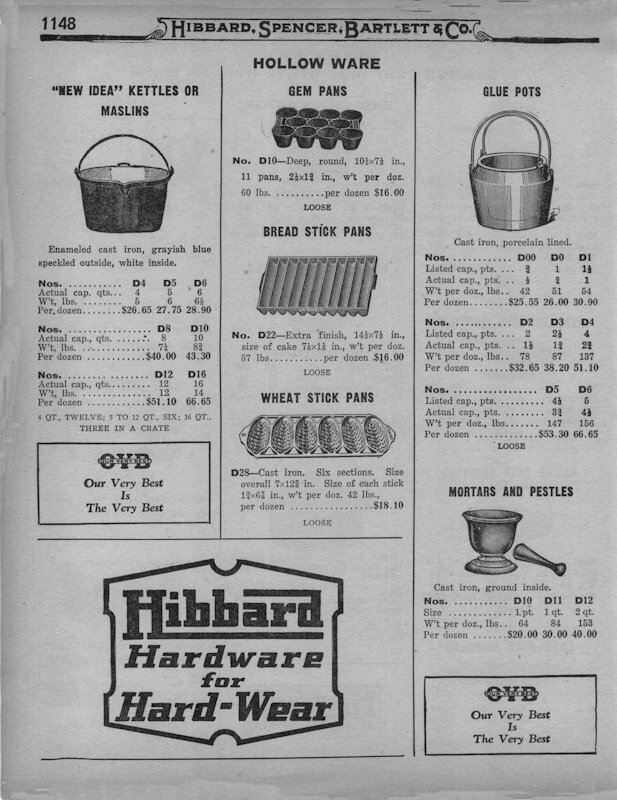 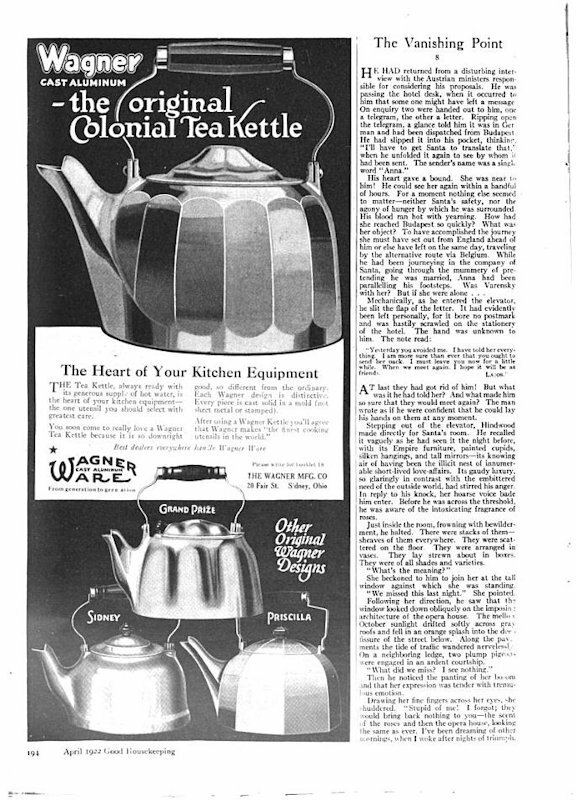 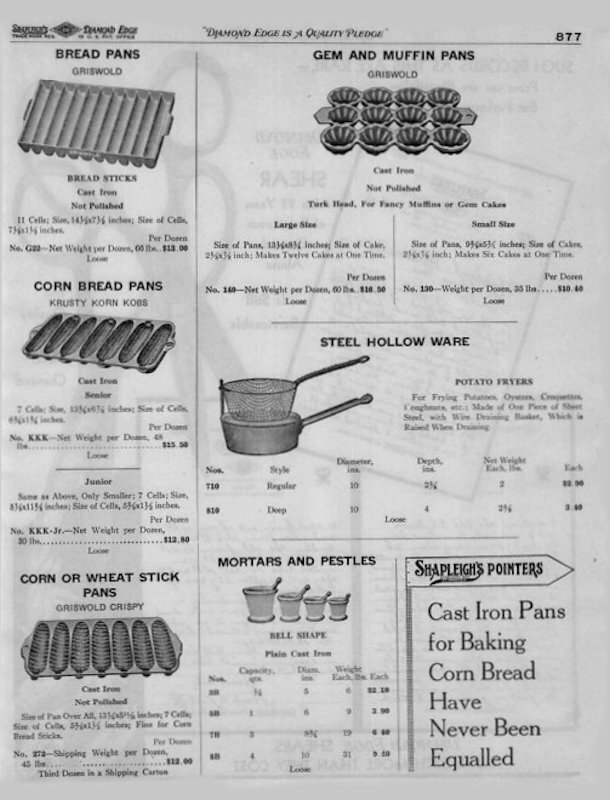 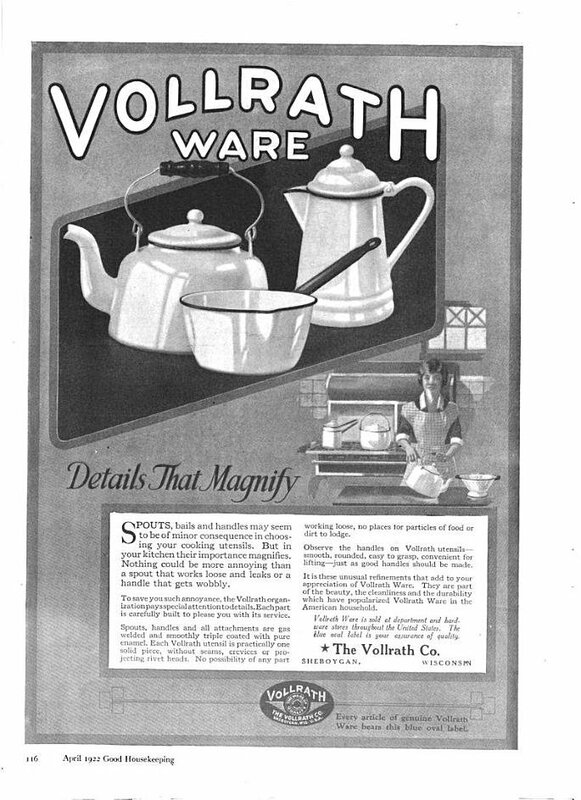 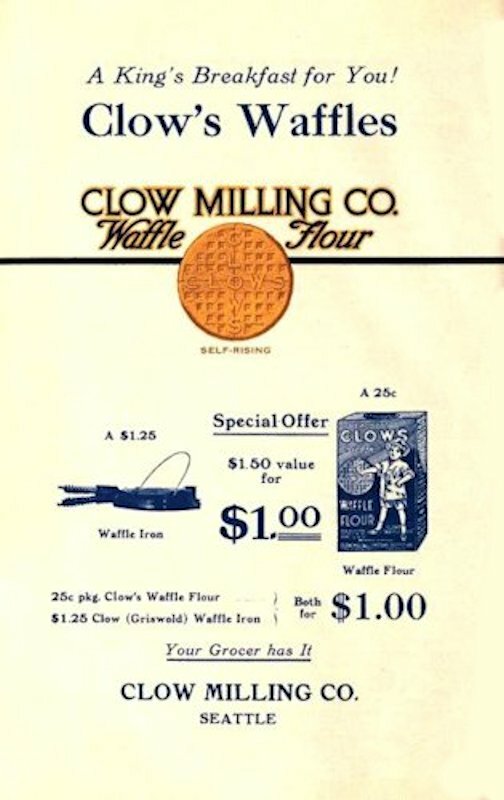 For the collector, vintage cookware advertising can represent a valuable resource for identifying information, especially that which can be gleaned from wholesale catalogs and other dated publications. 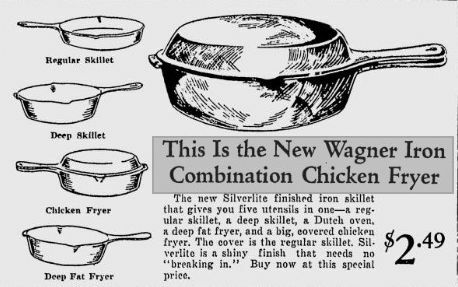 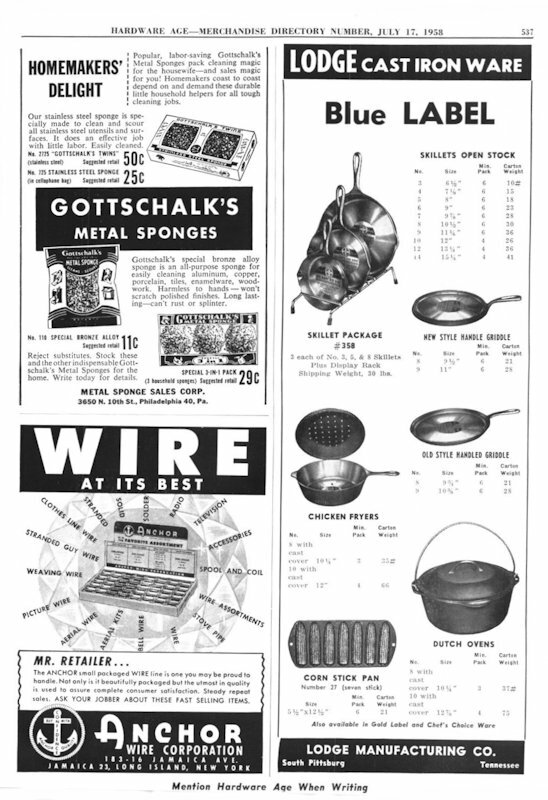 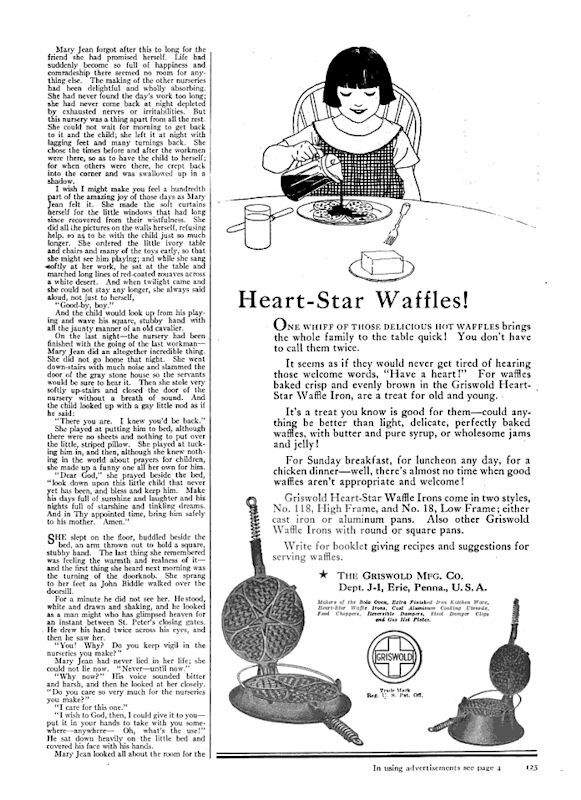 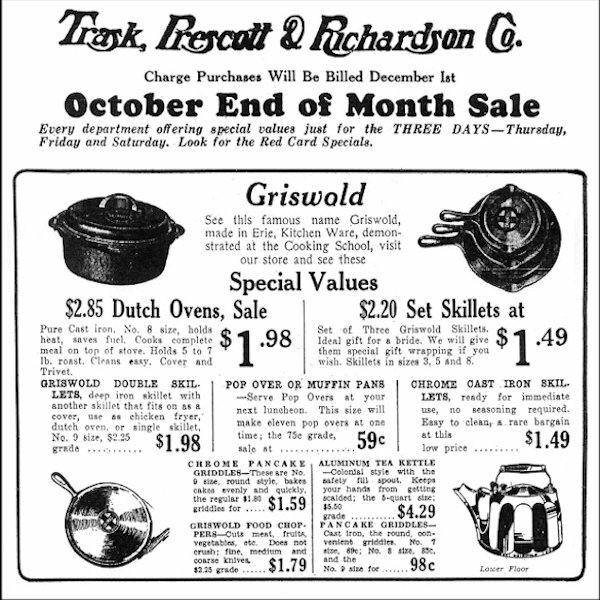 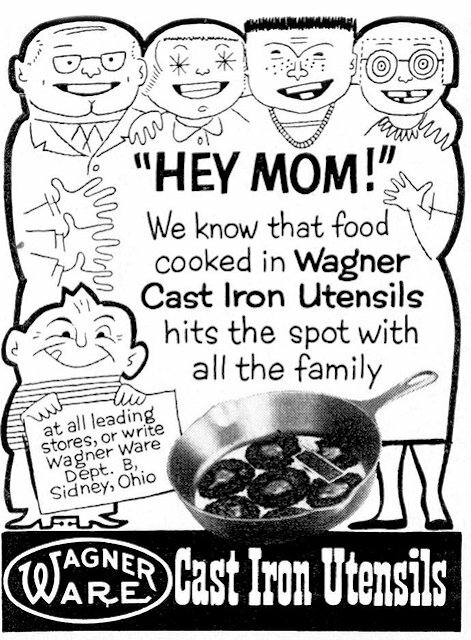 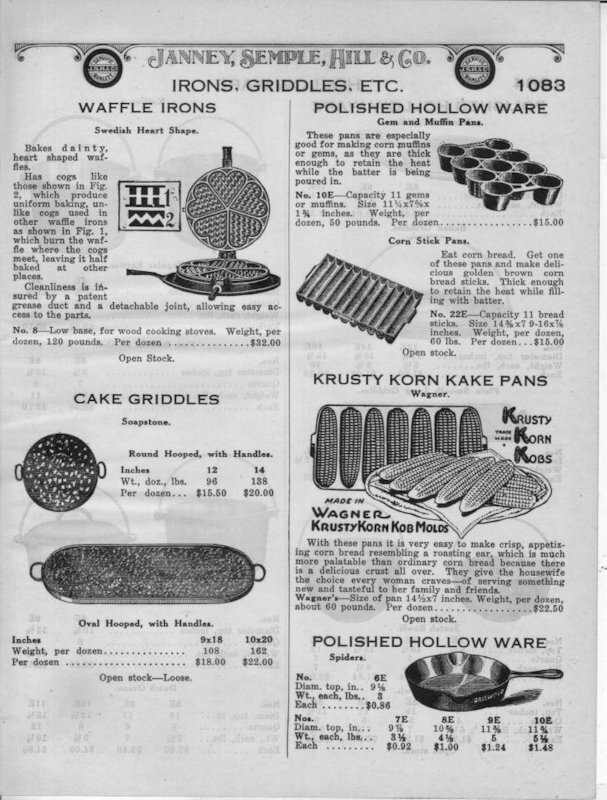 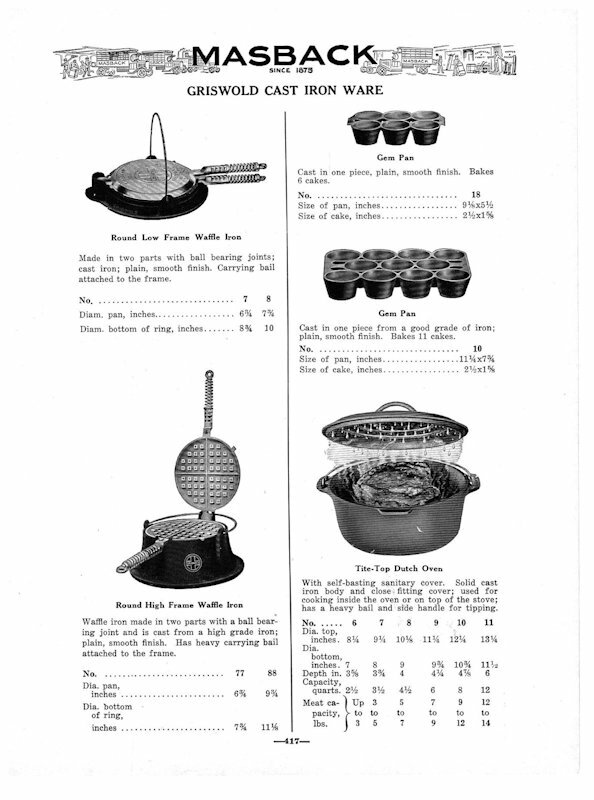 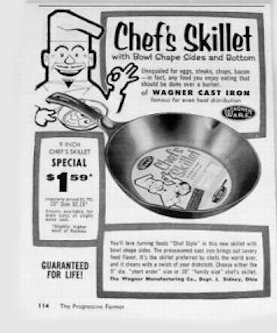 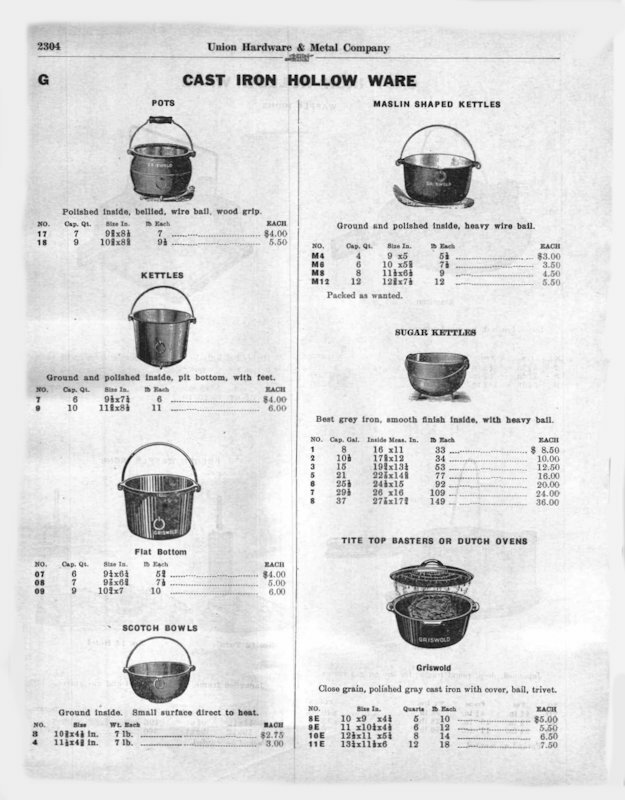 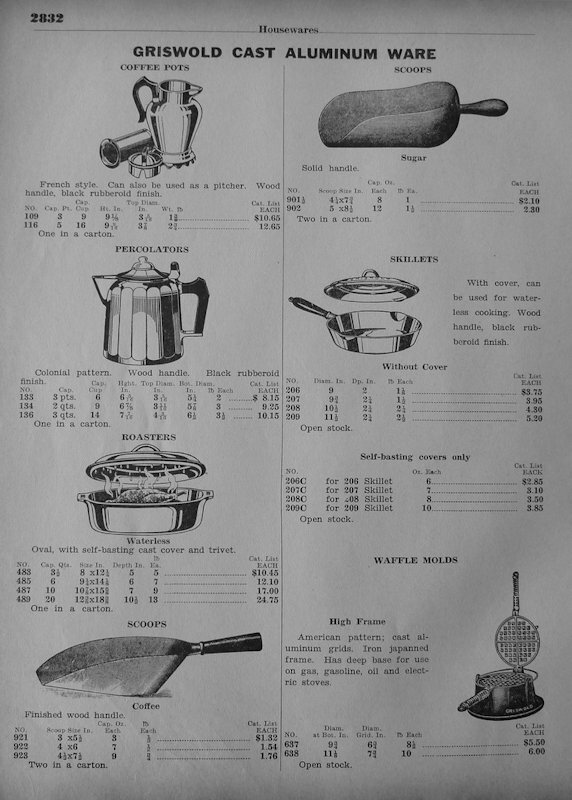 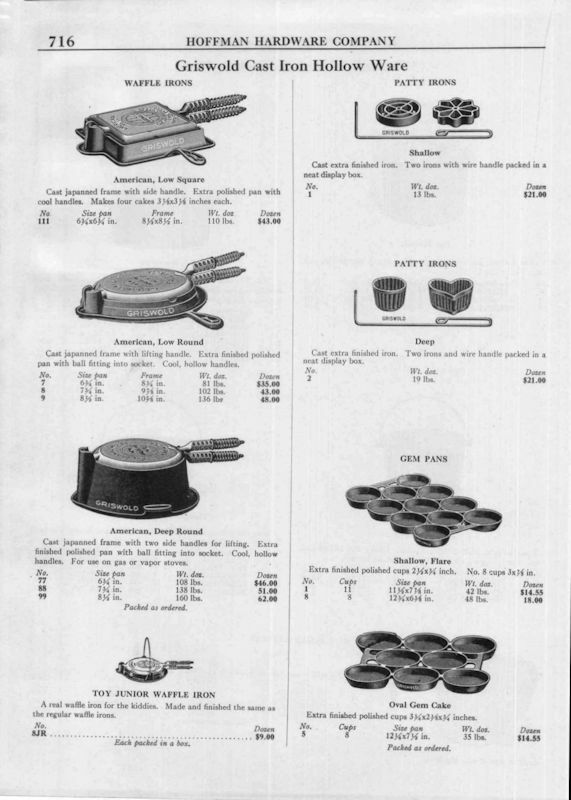 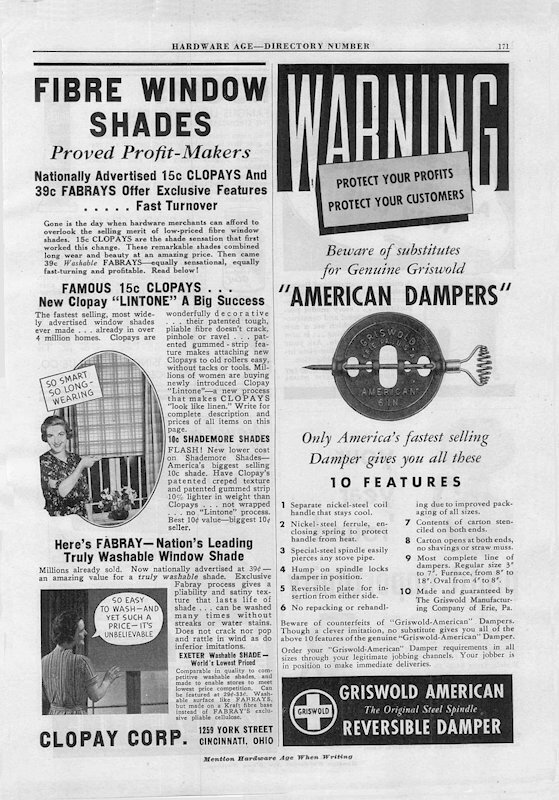 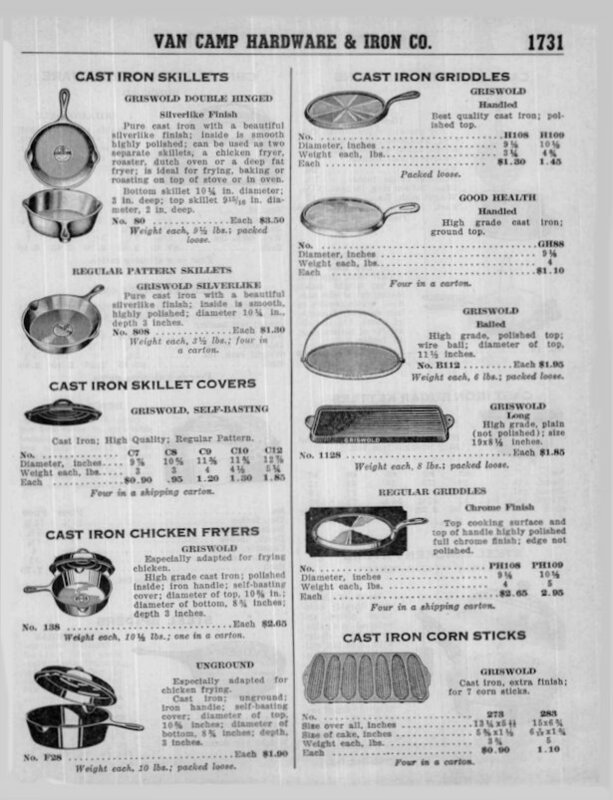 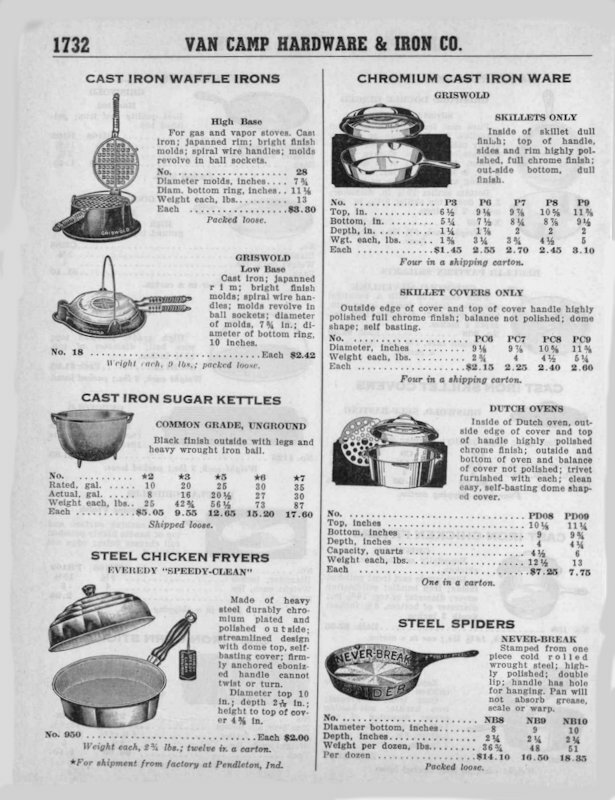 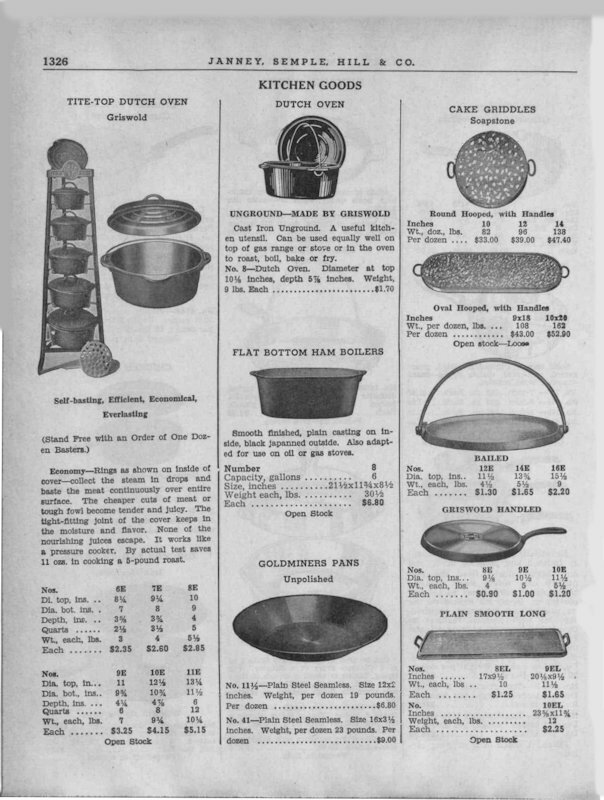 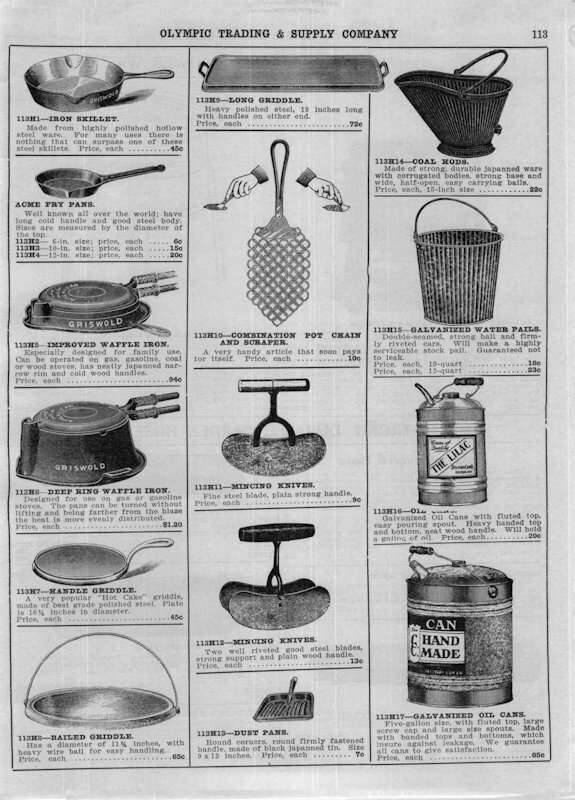 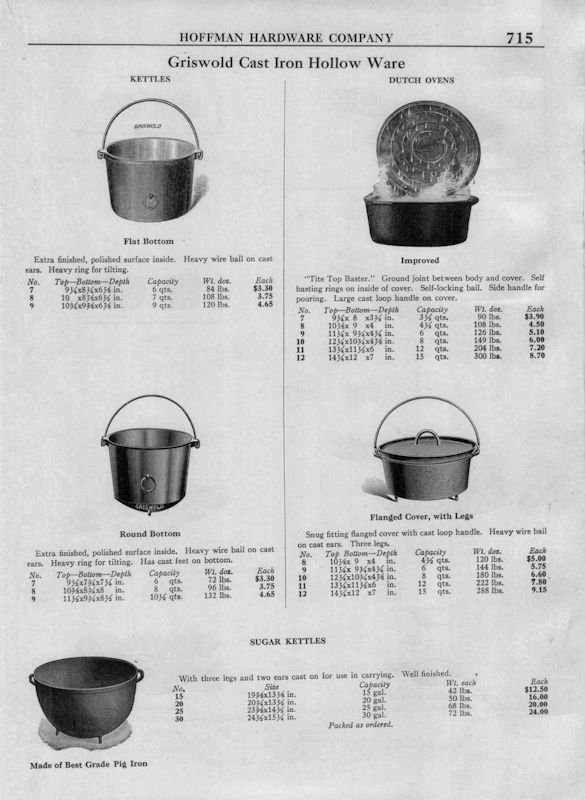 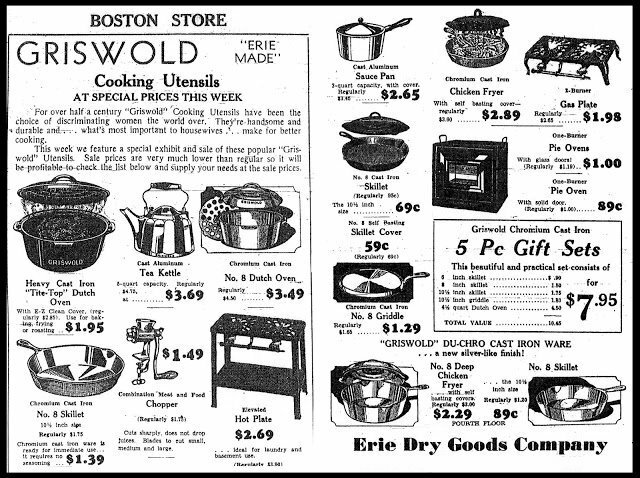 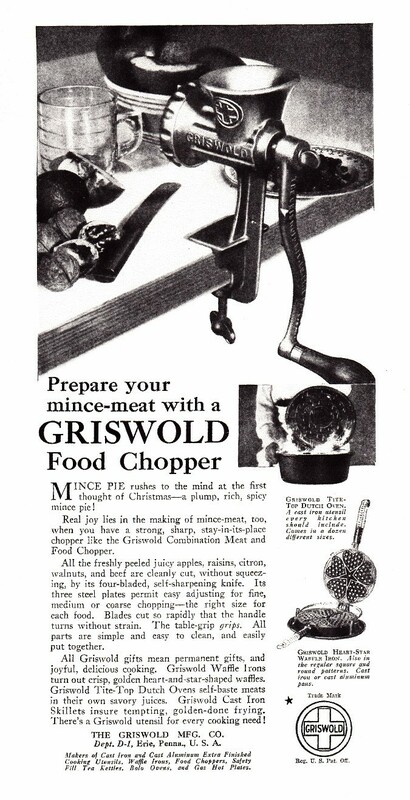 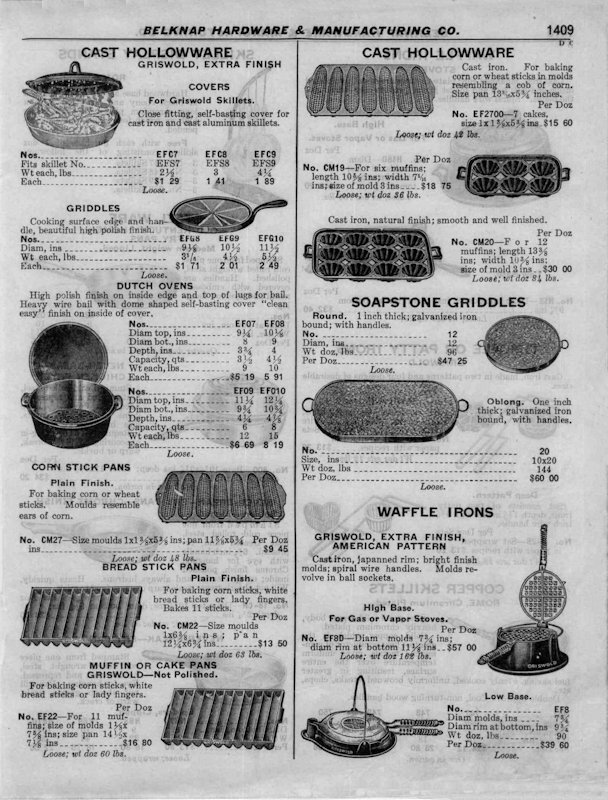 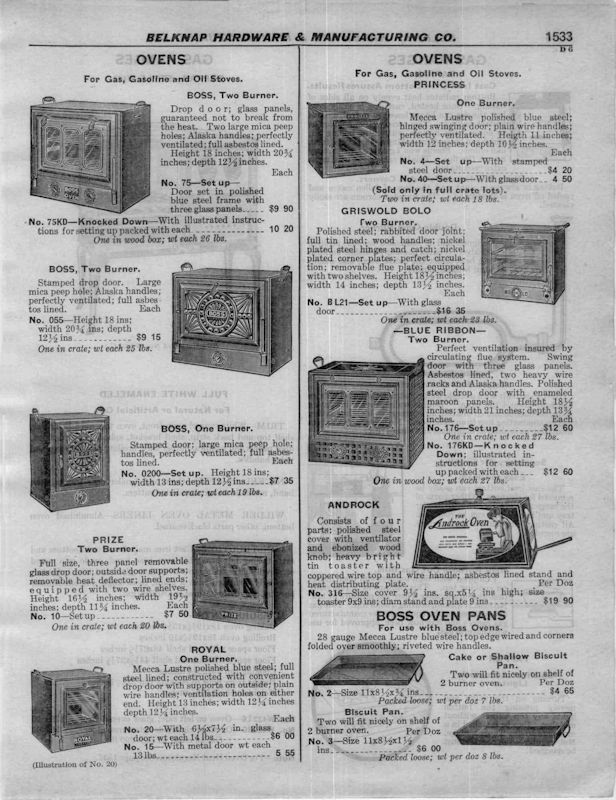 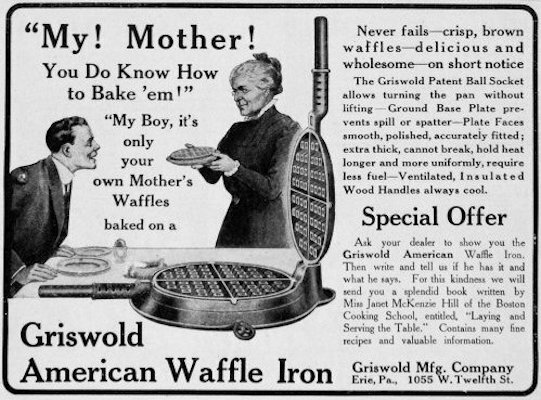 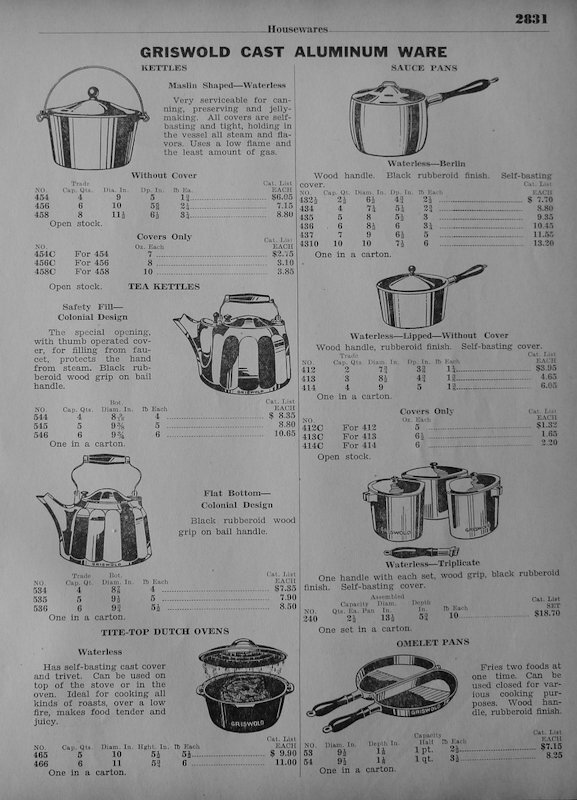 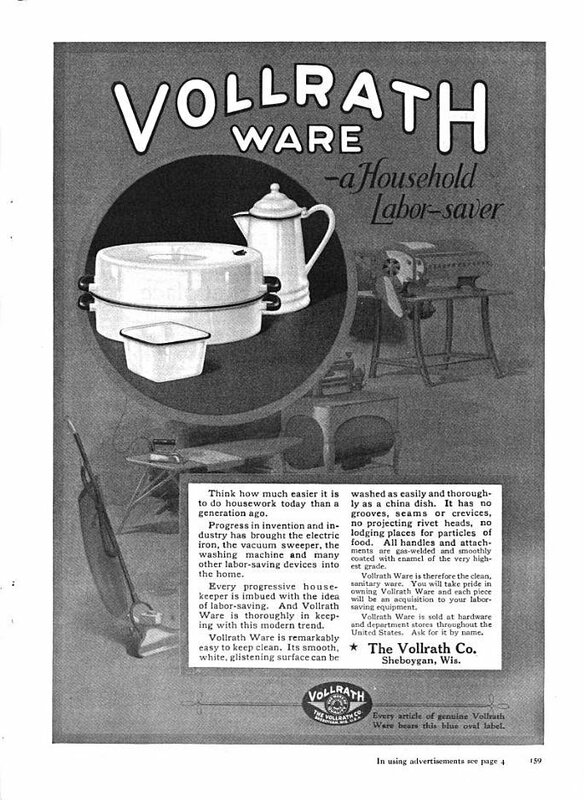 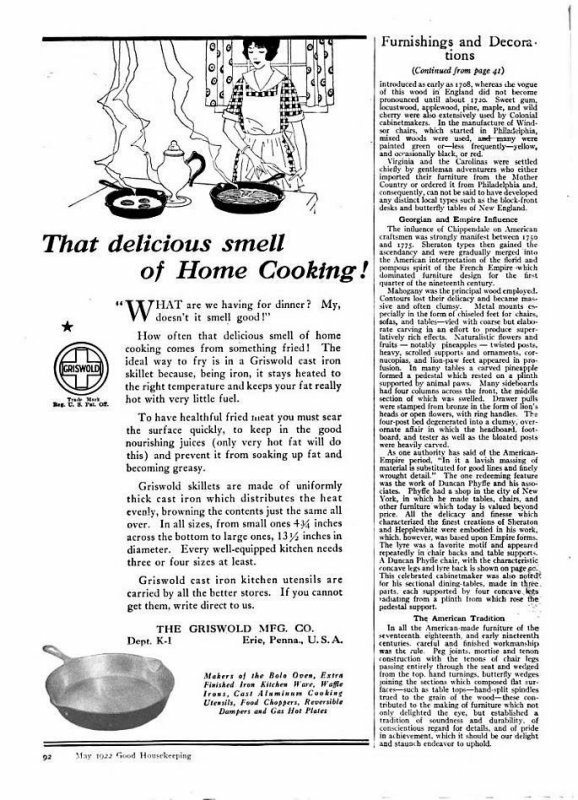 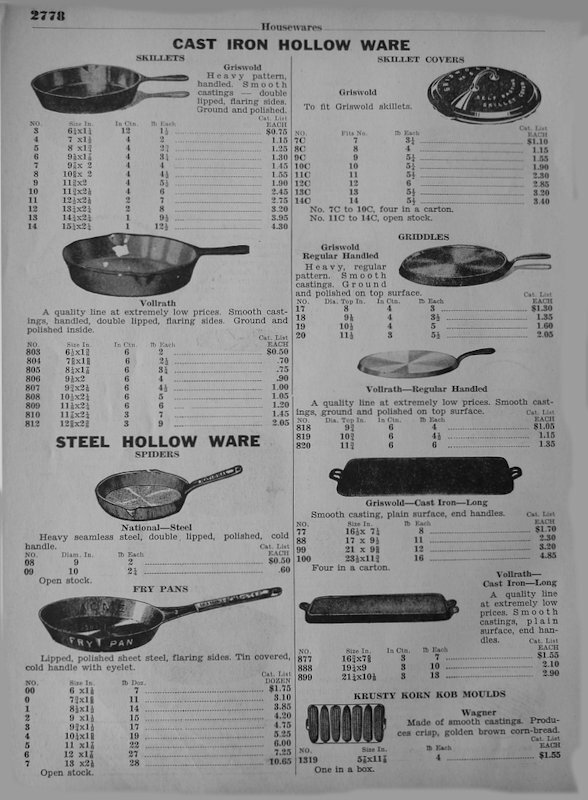 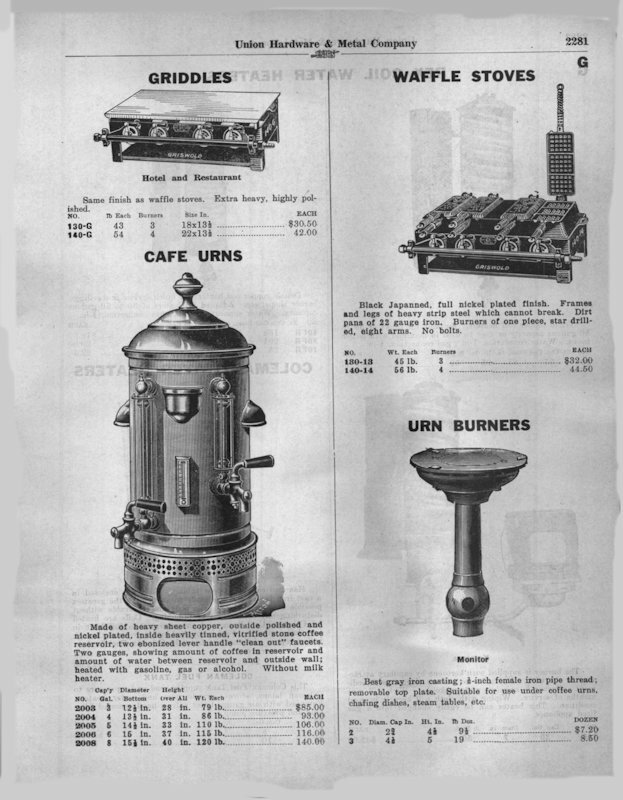 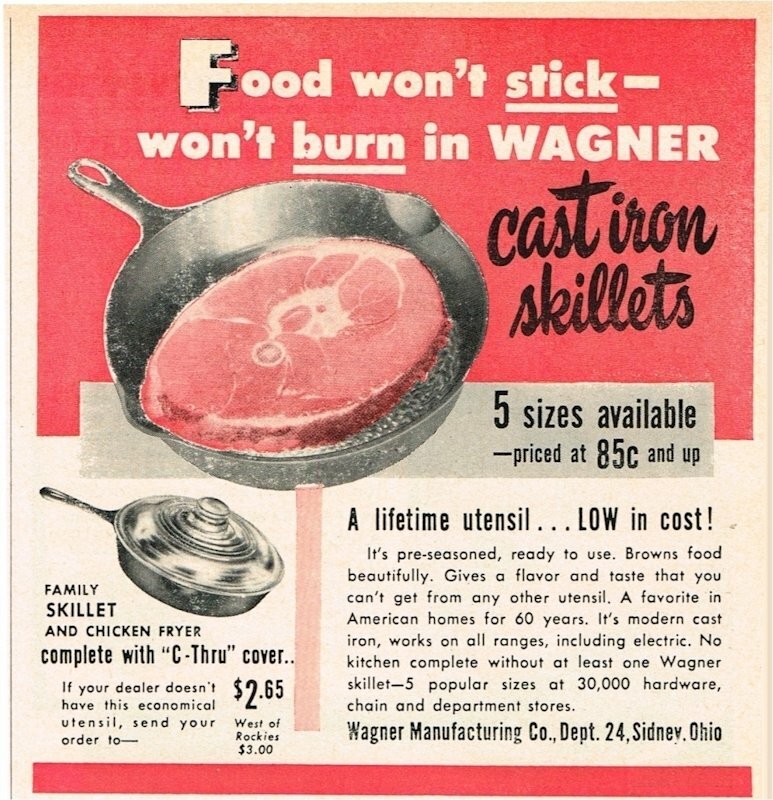 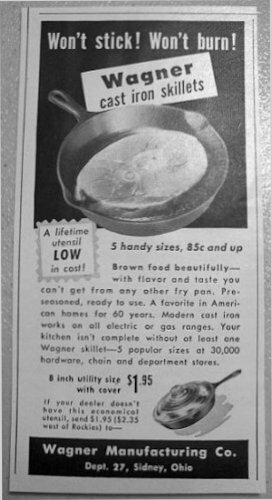 Here is a selection of vintage ads spanning the era of vintage cast iron and aluminum cookware. 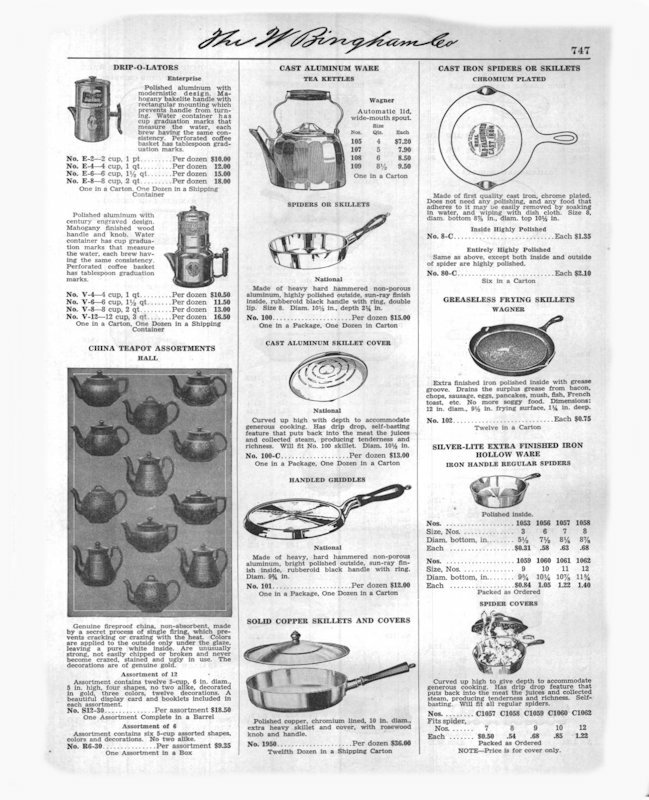 Click on any for a photo or slideshow.